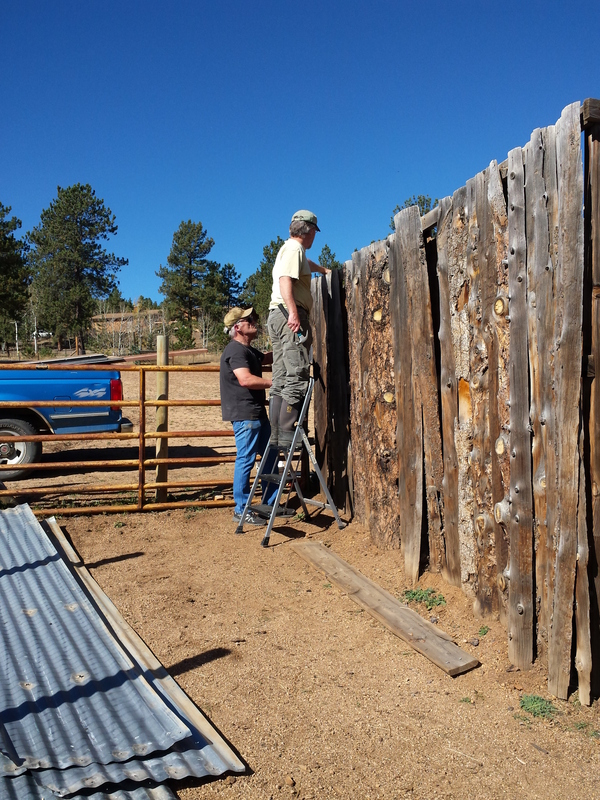 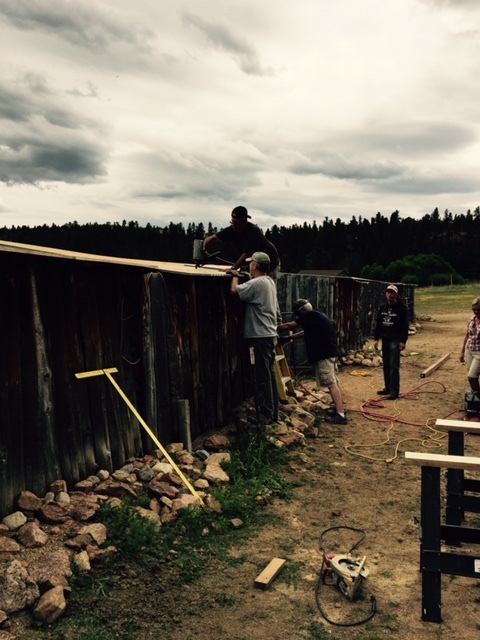 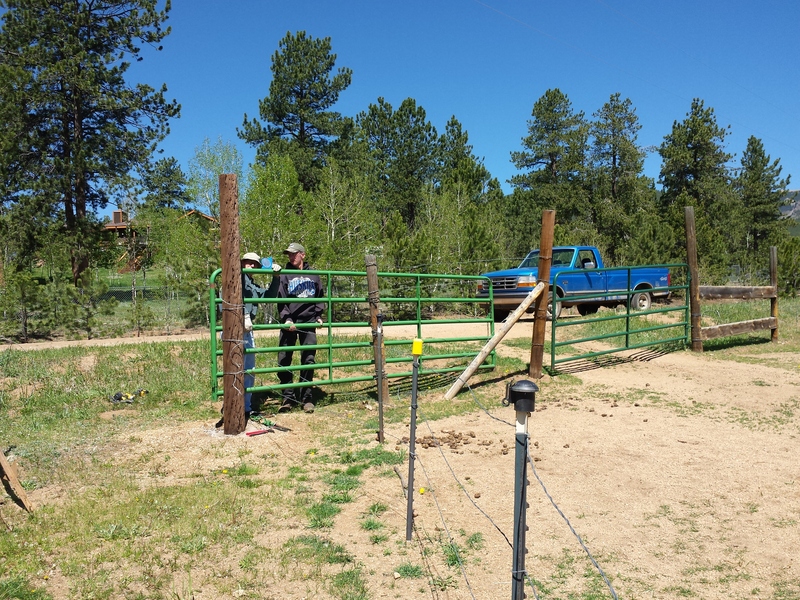 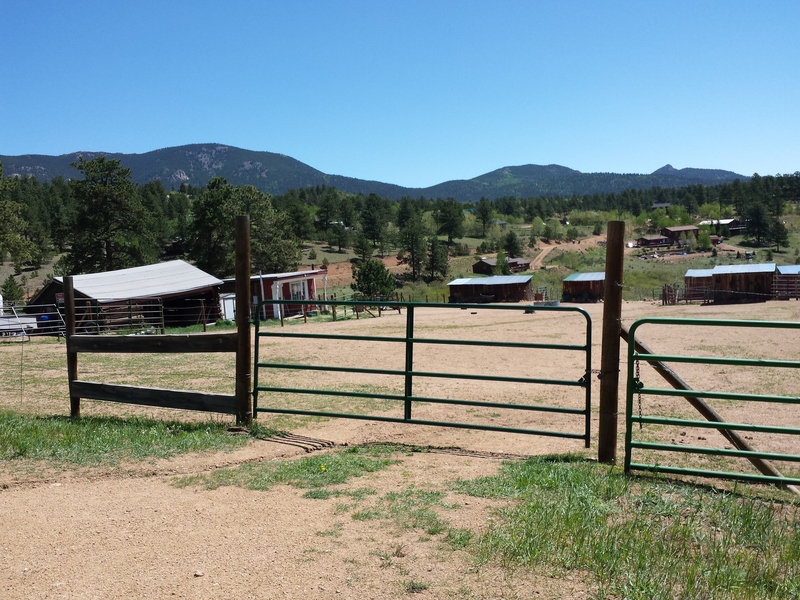 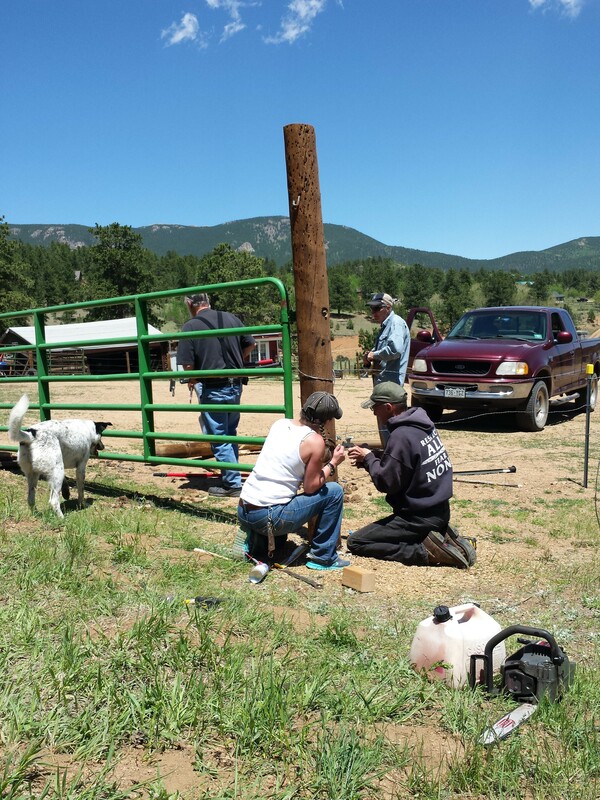 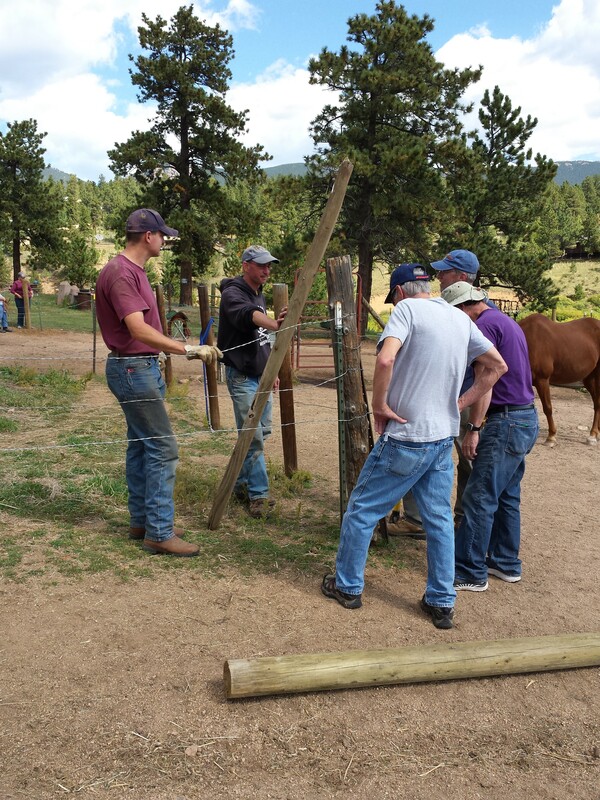 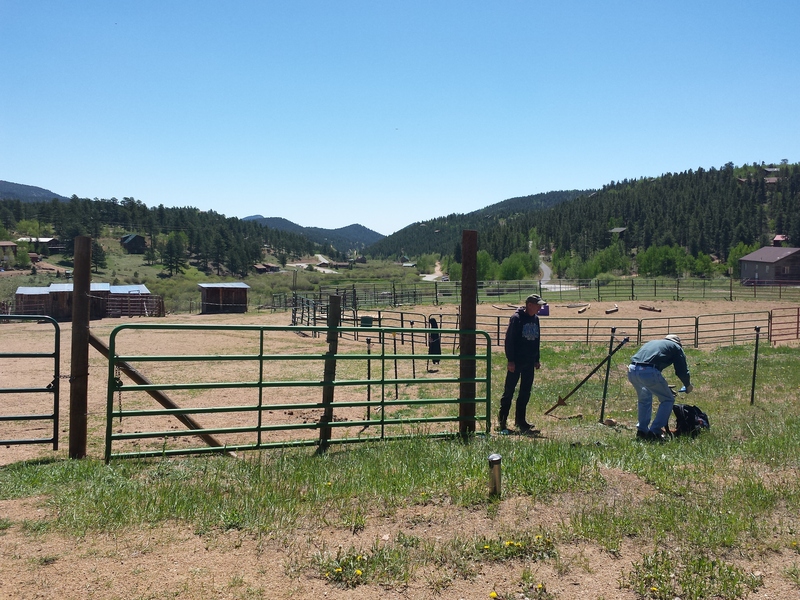 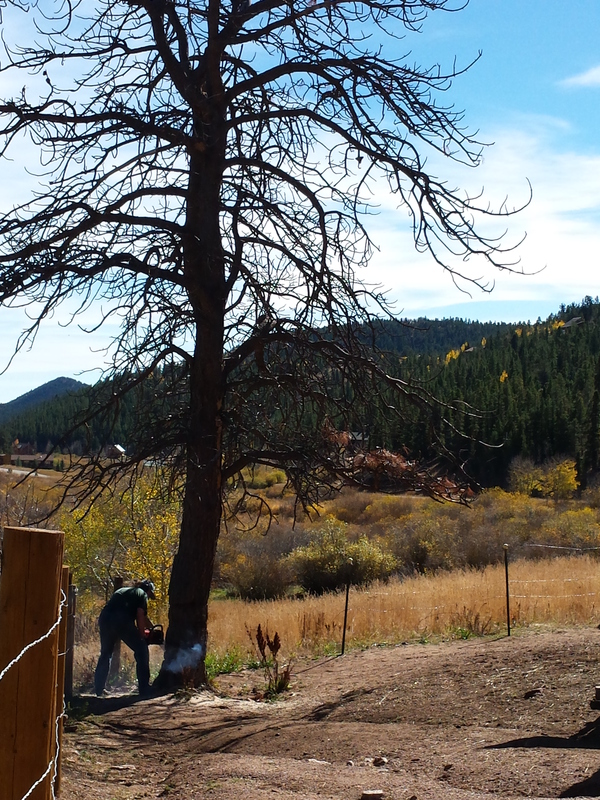 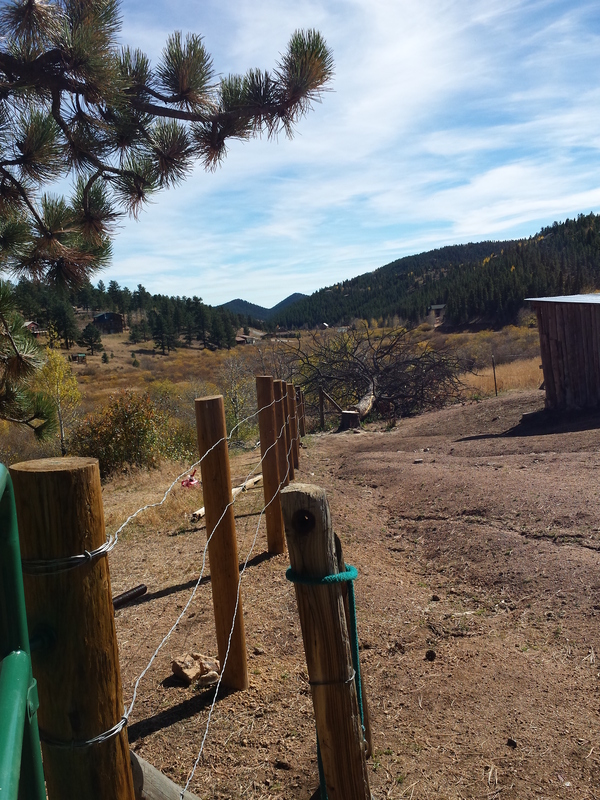 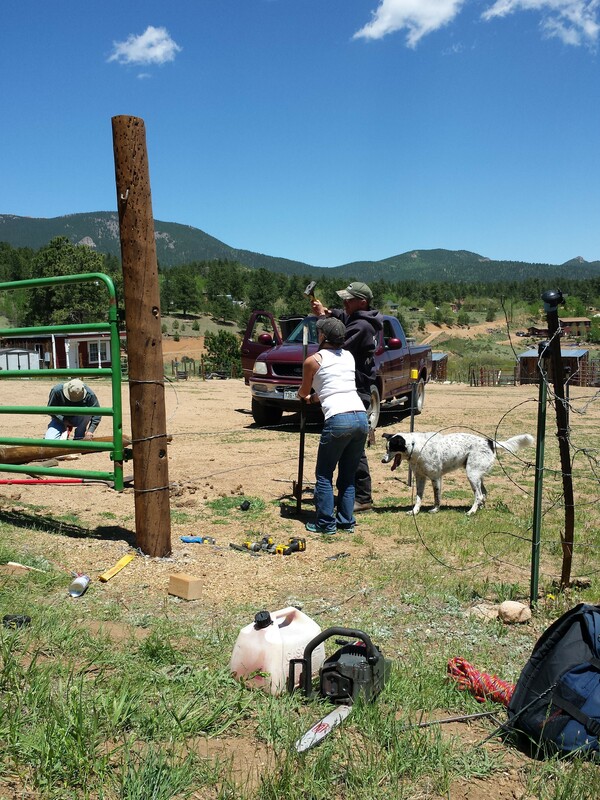 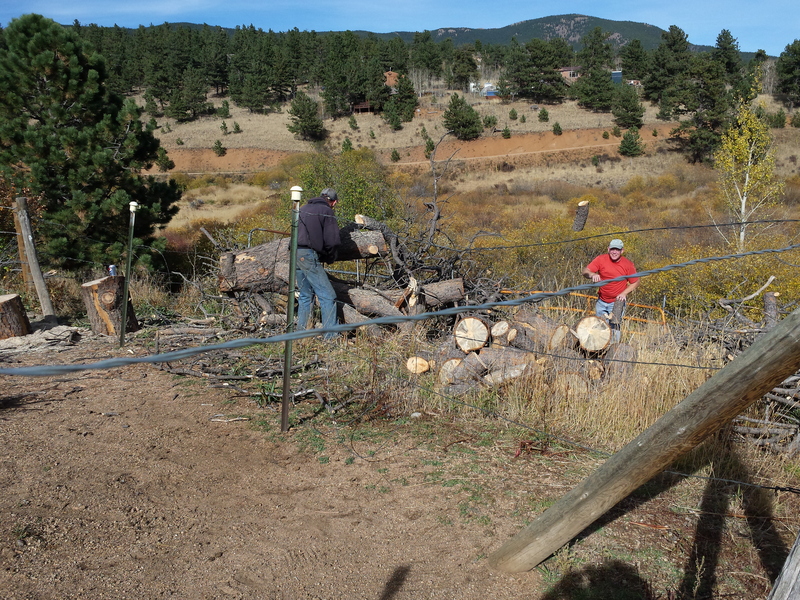 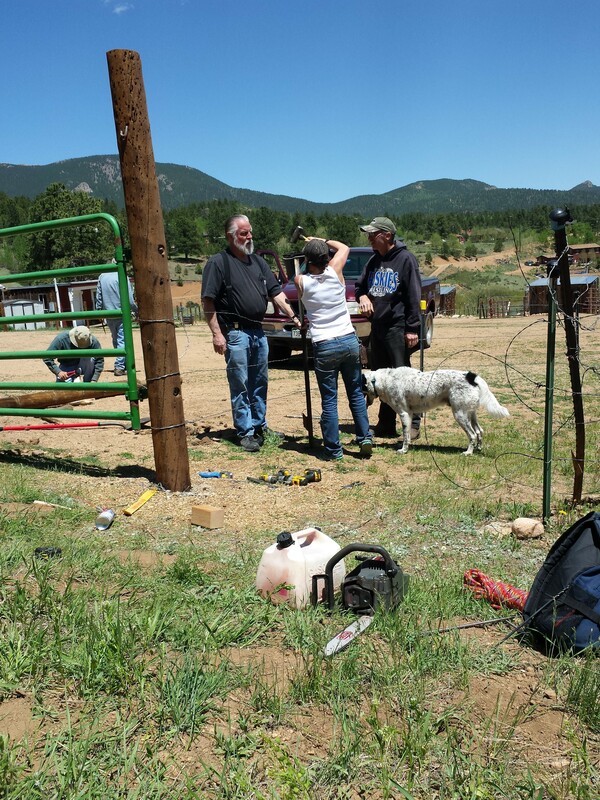 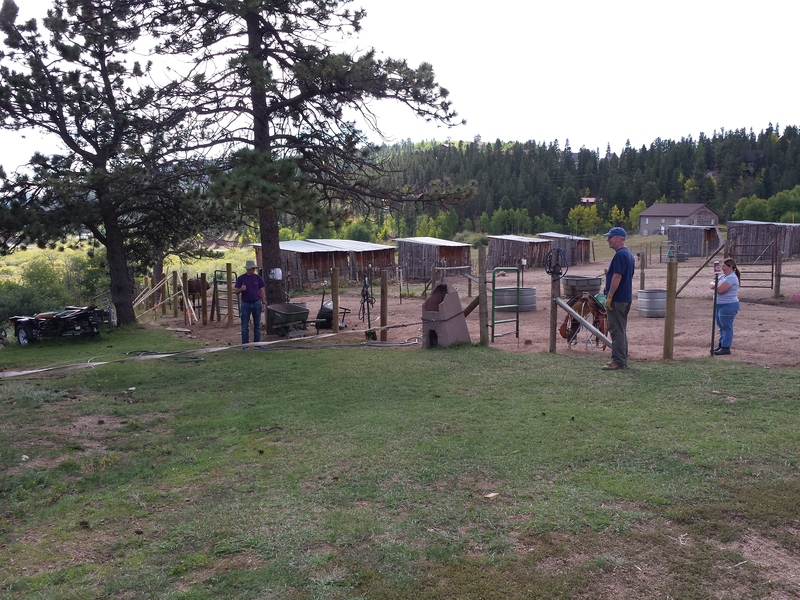 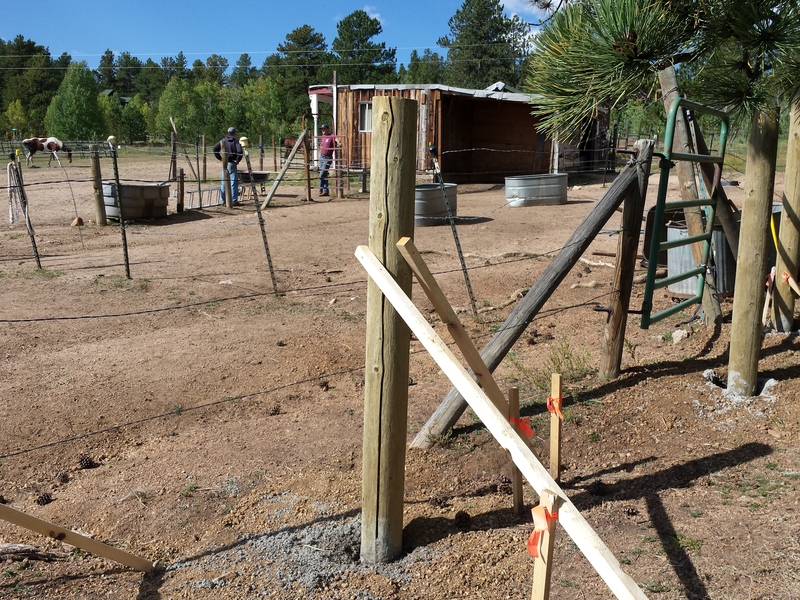 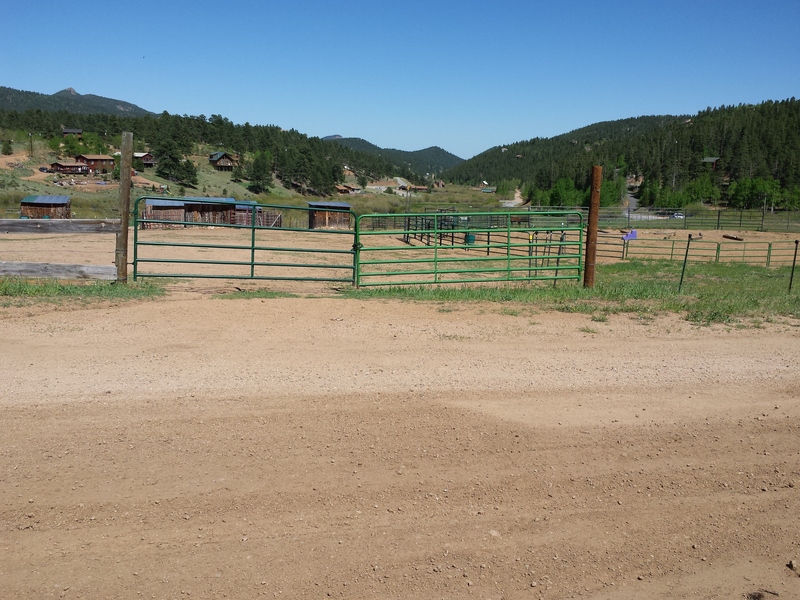 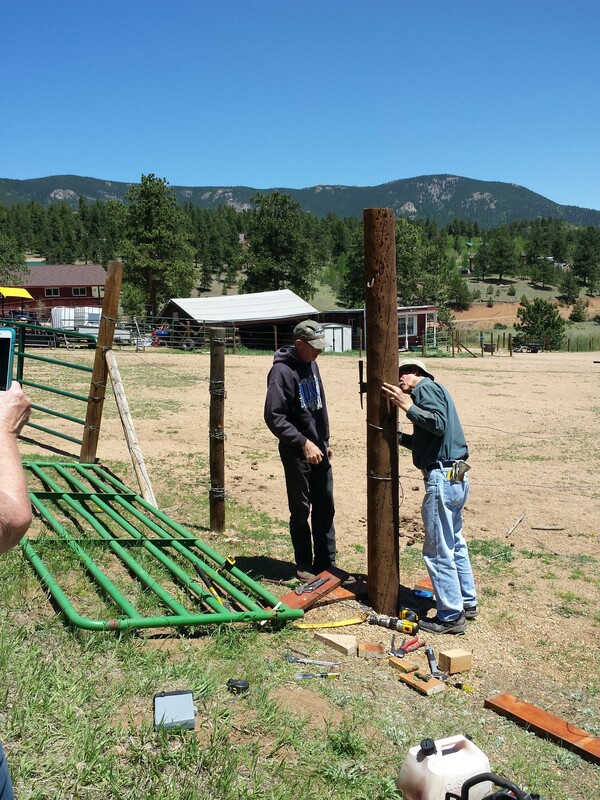 Expanded corral gate installed by Jeff DeBerry, Patrick McCrary, Paul Ellis, Walt Wark, and Kristin Barber. 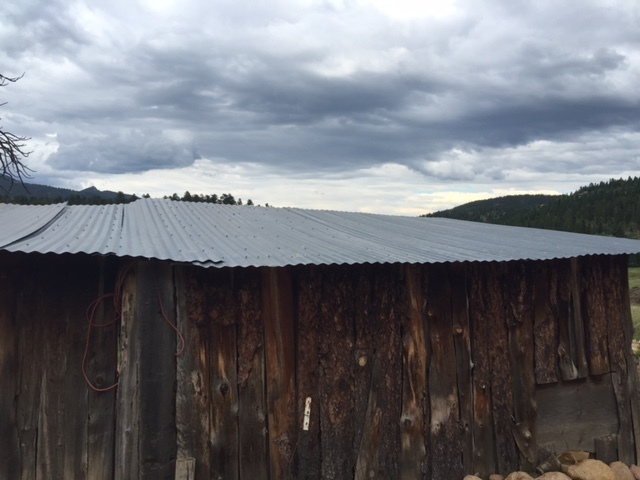 Submitted by Karen Ellis and Dale Wark, June 2, 2018. 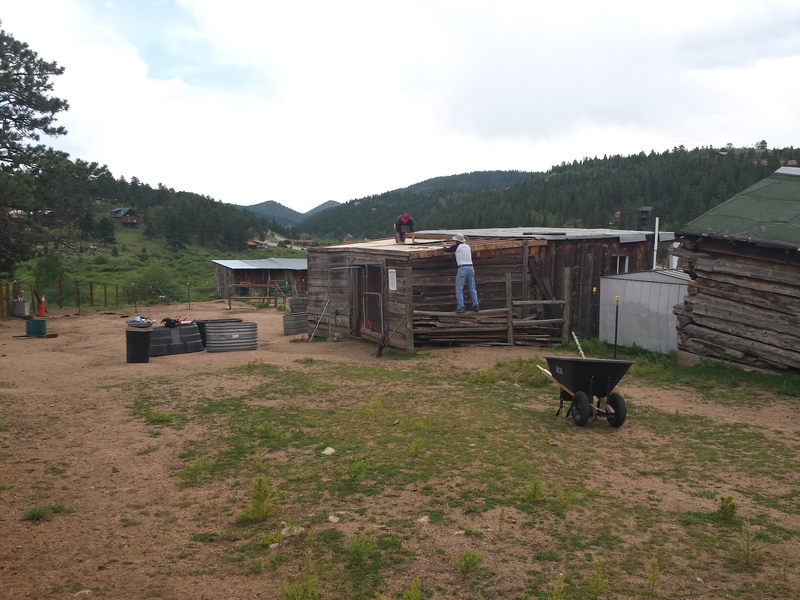 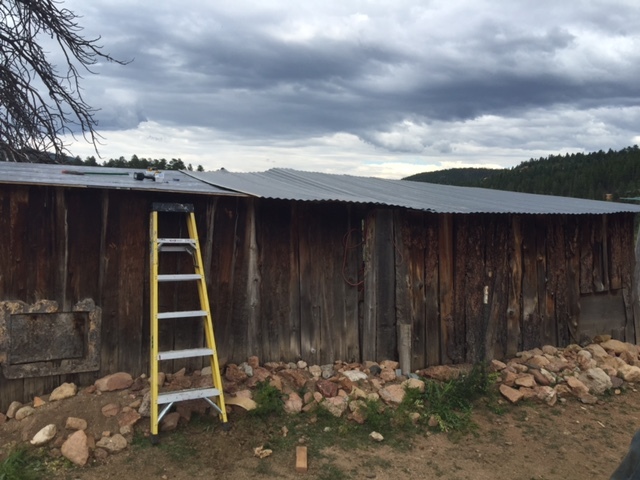 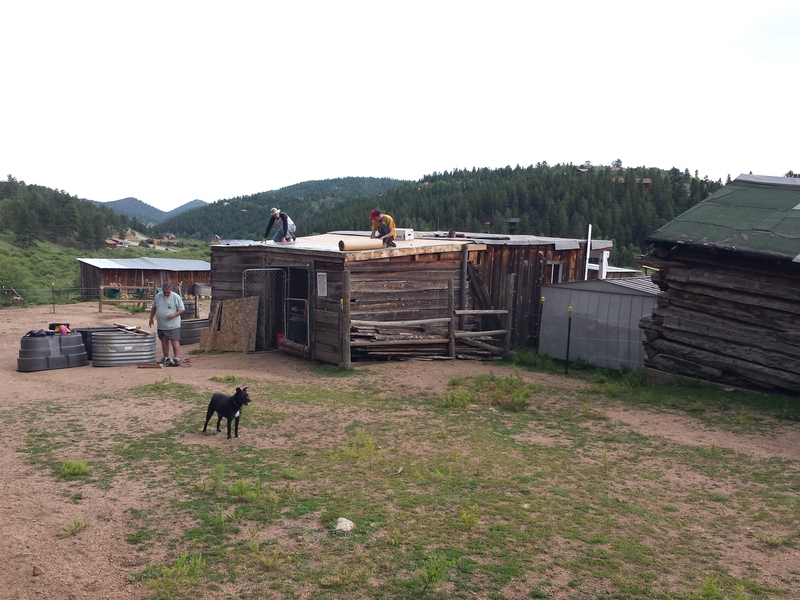 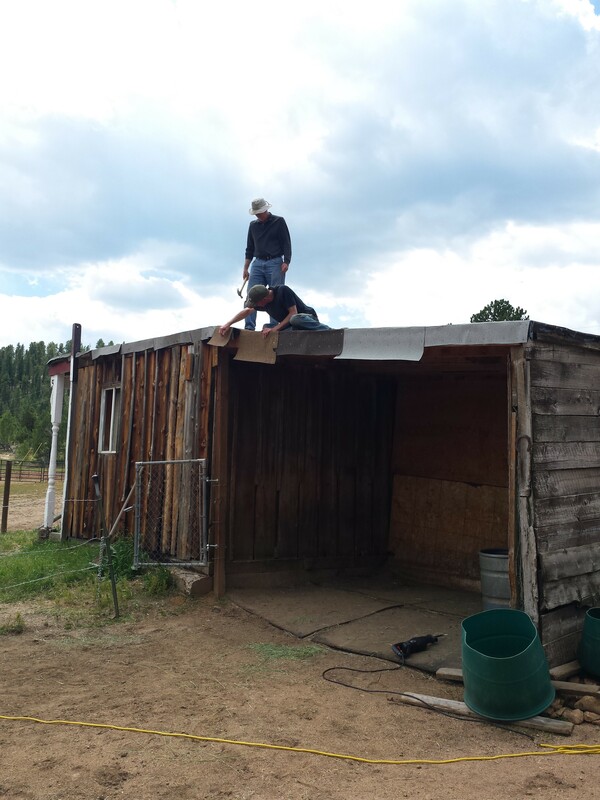 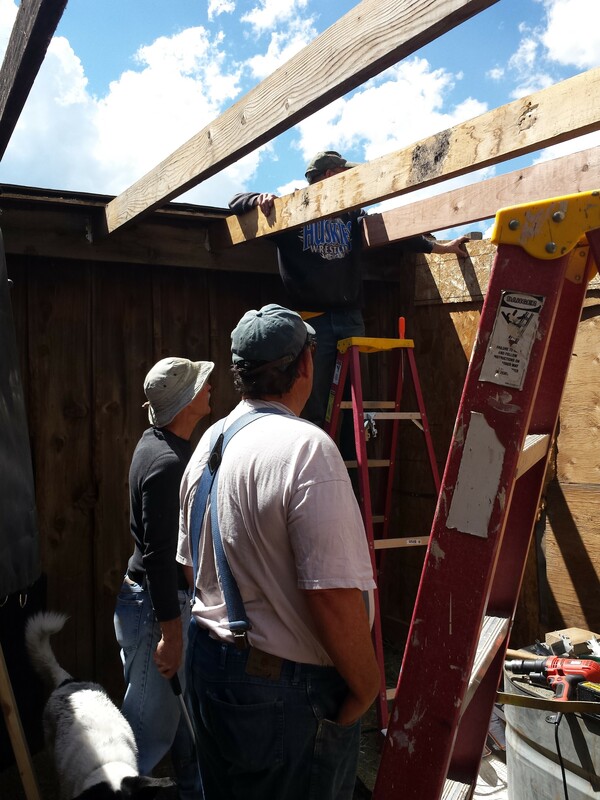 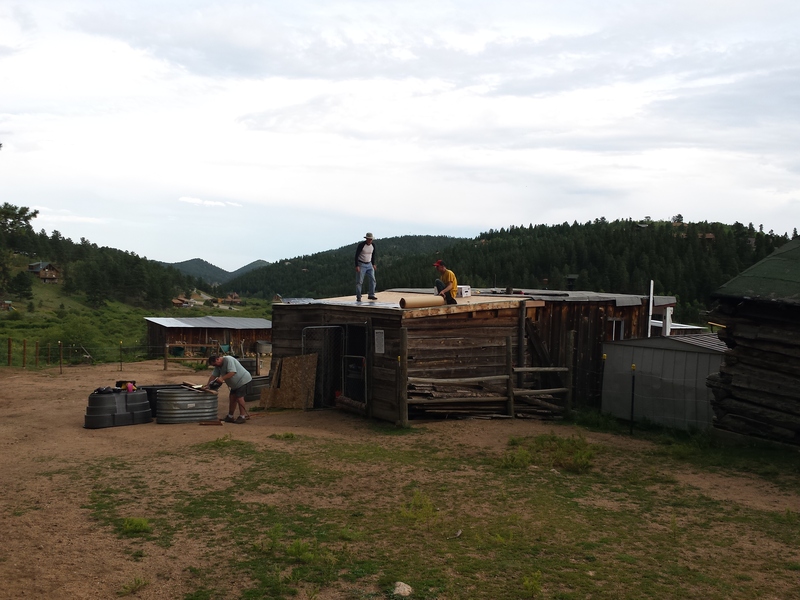 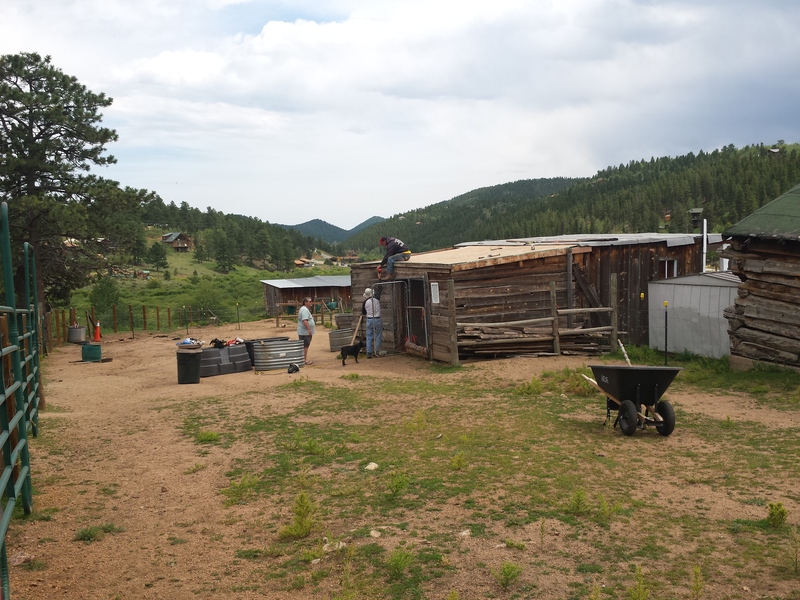 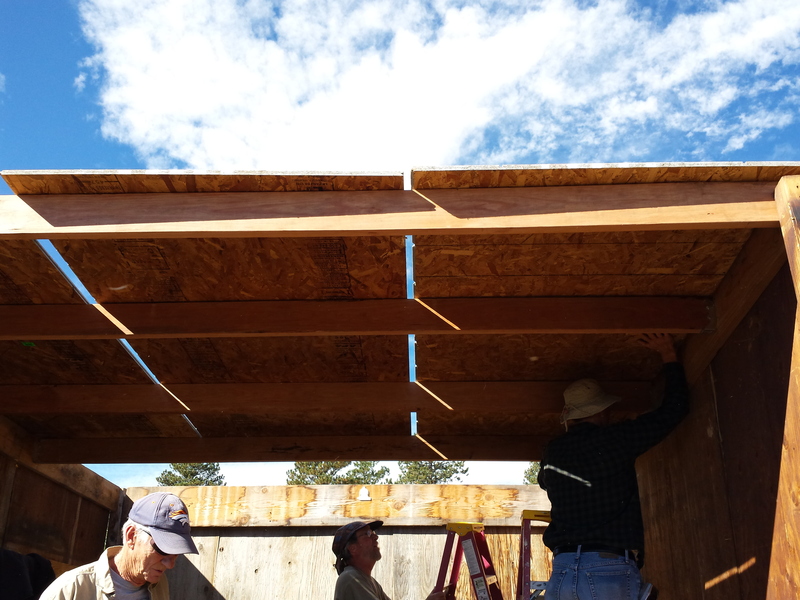 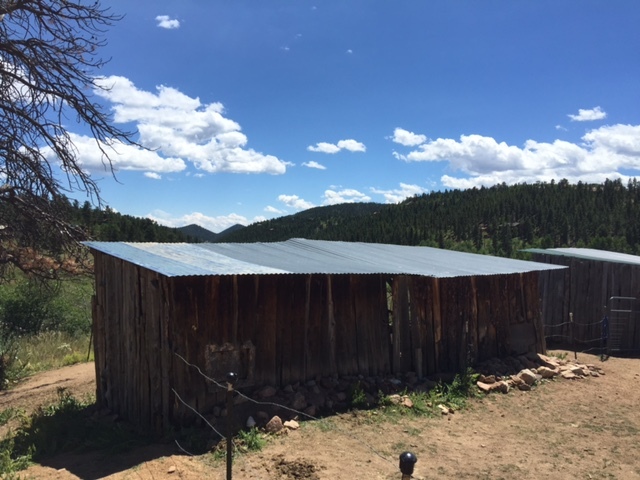 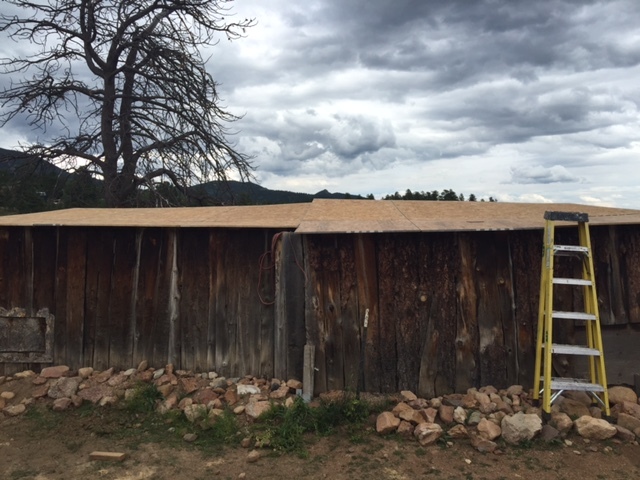 Shelter roof replaced by Jeff DeBerry, Paul Ellis, Tim Bradley, and Ron Swift, submitted by Karen Ellis, August 26, 2017. 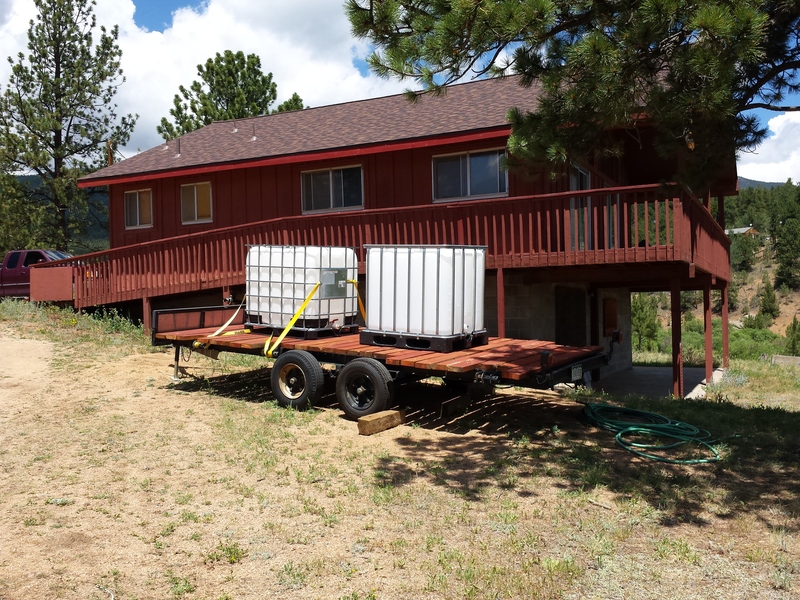 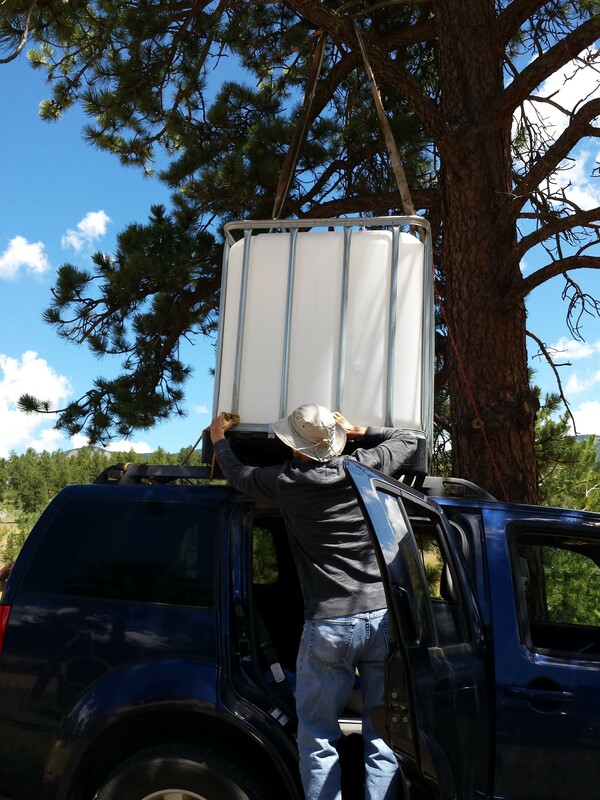 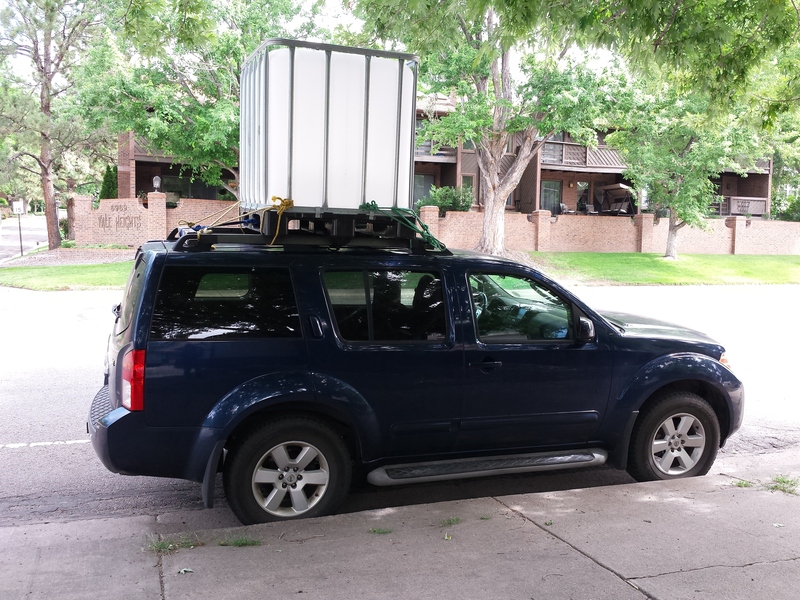 New 275 gallon water tank delivered by Paul Ellis, assisted by Walt and Dale Wark. 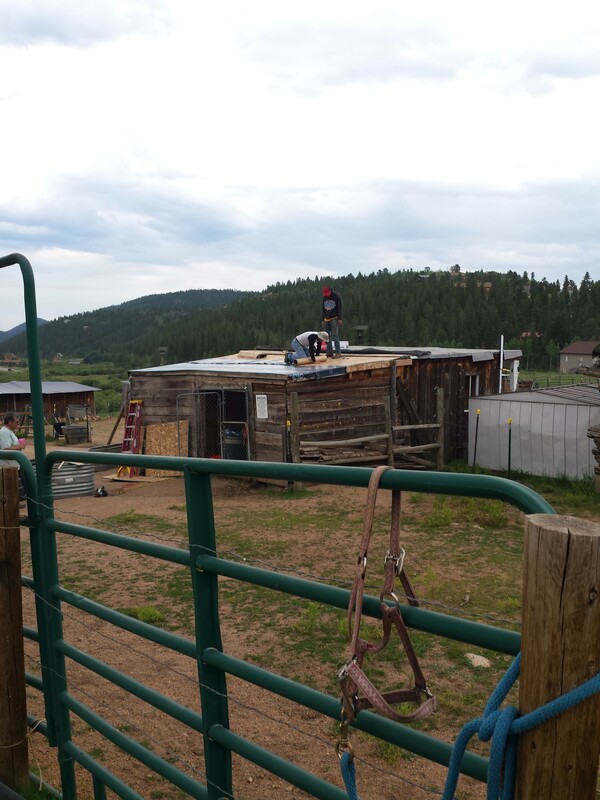 Submitted by Karen Ellis, July 7, 2017. 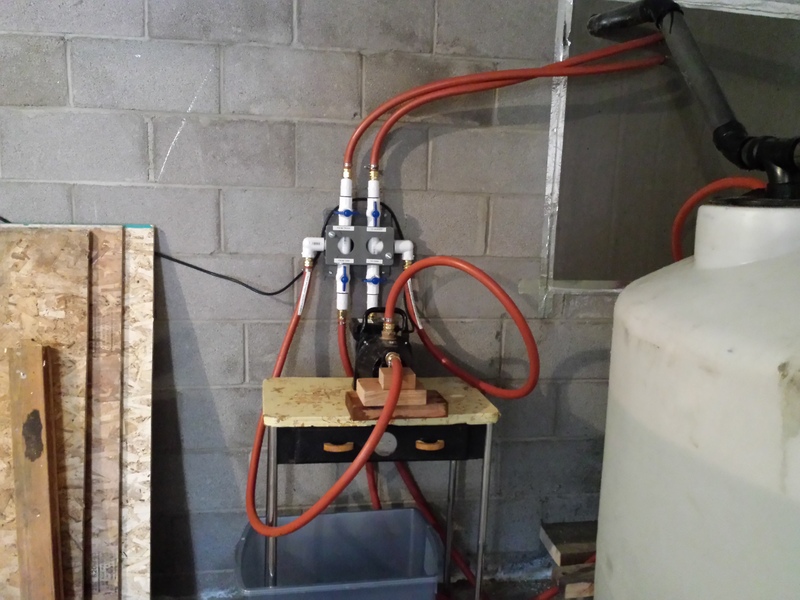 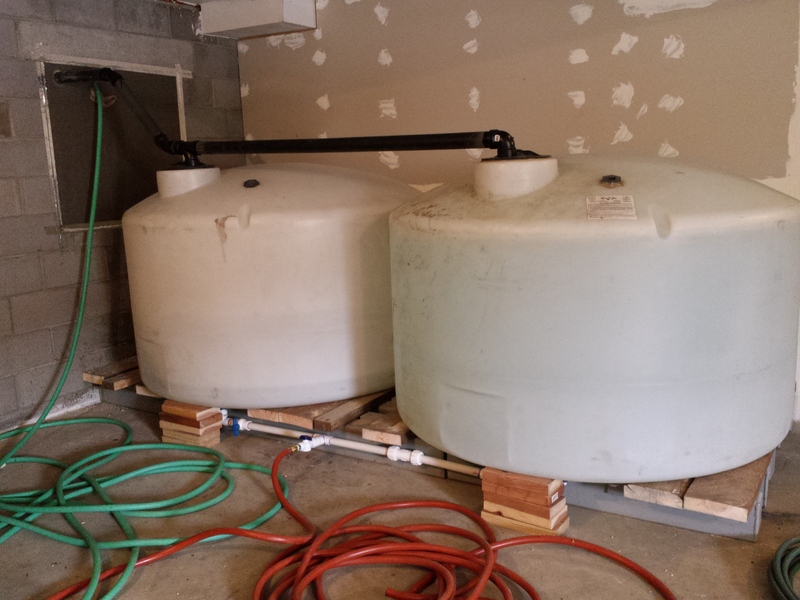 Ball valves have been added to pump to allow easier distribution of water, and cap has been added to the water truck delivery pipe for protection by Paul Ellis. 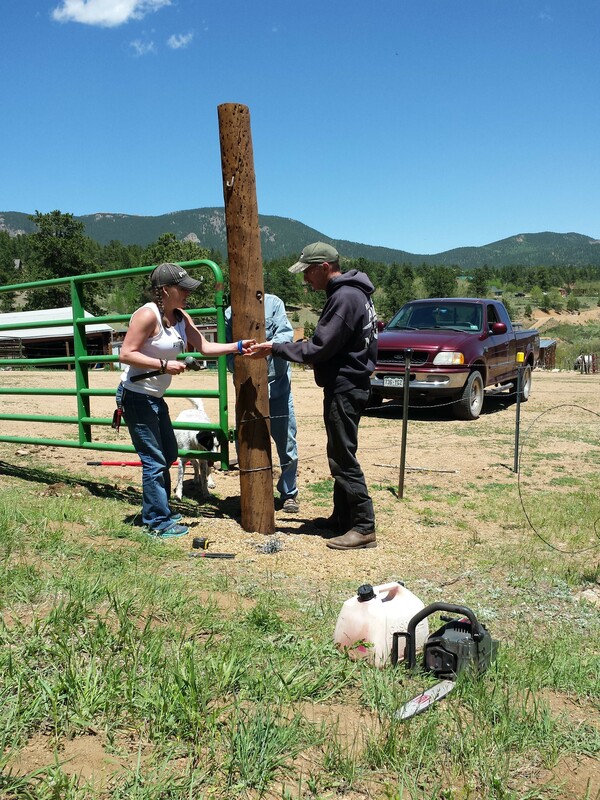 Submitted by Karen Ellis, April 5, 2017. 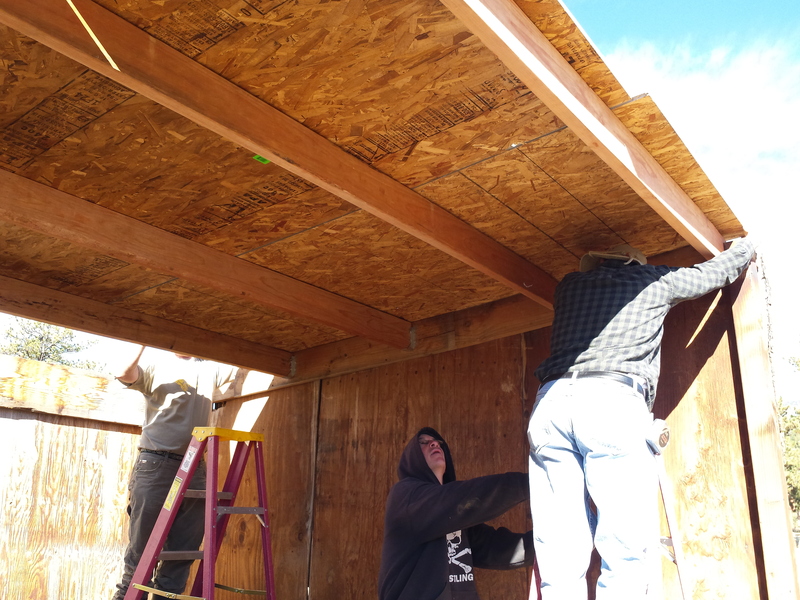 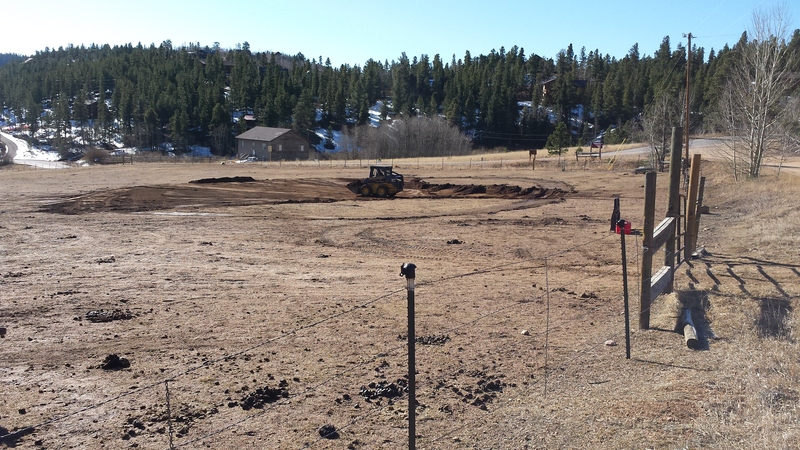 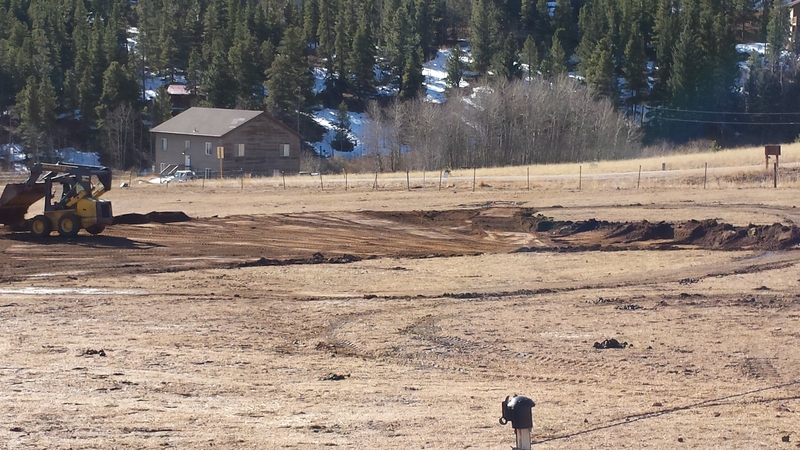 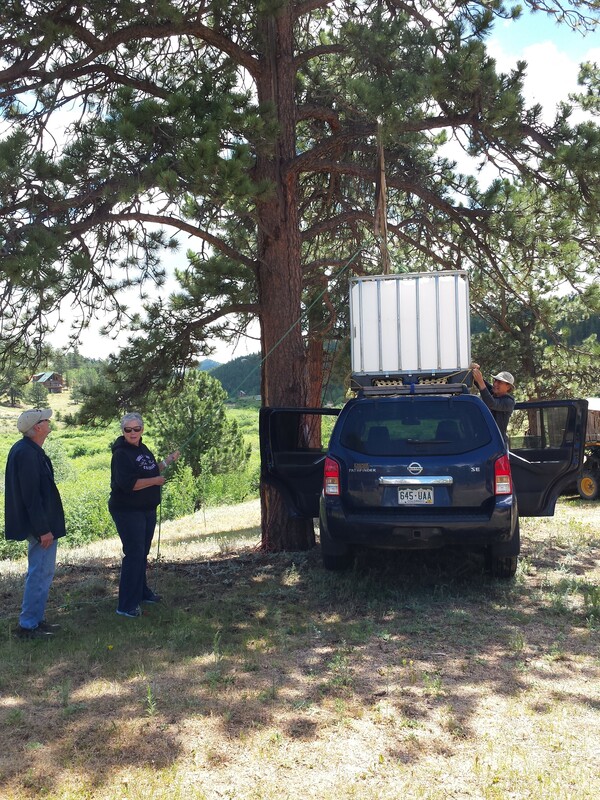 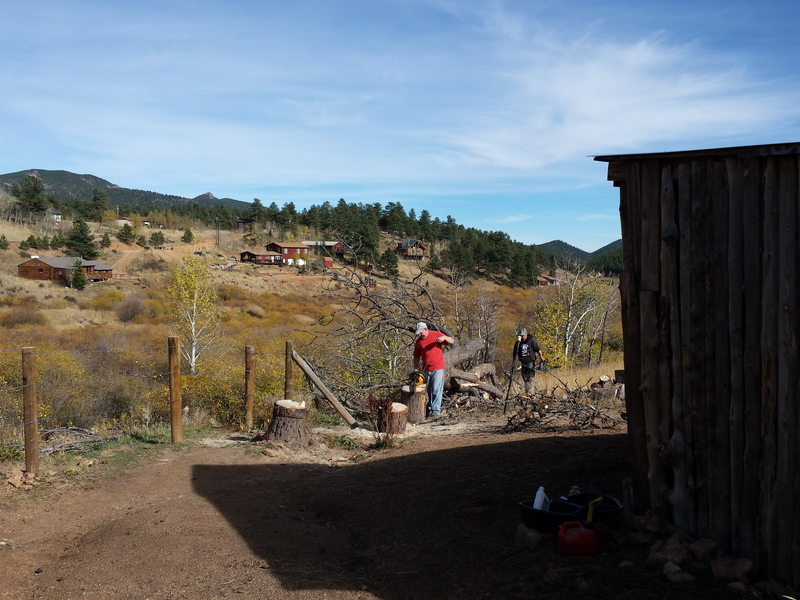 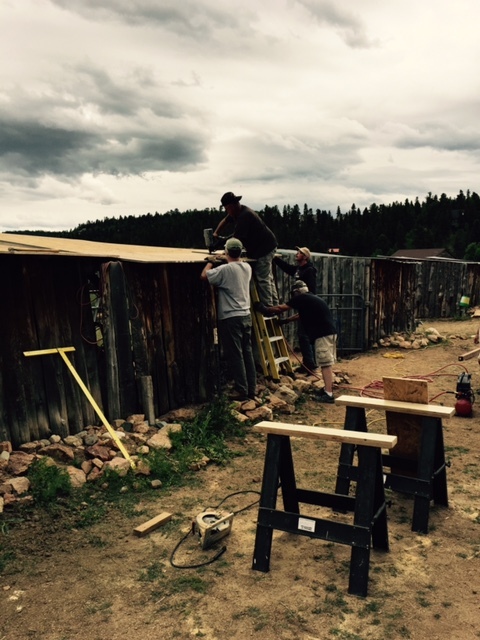 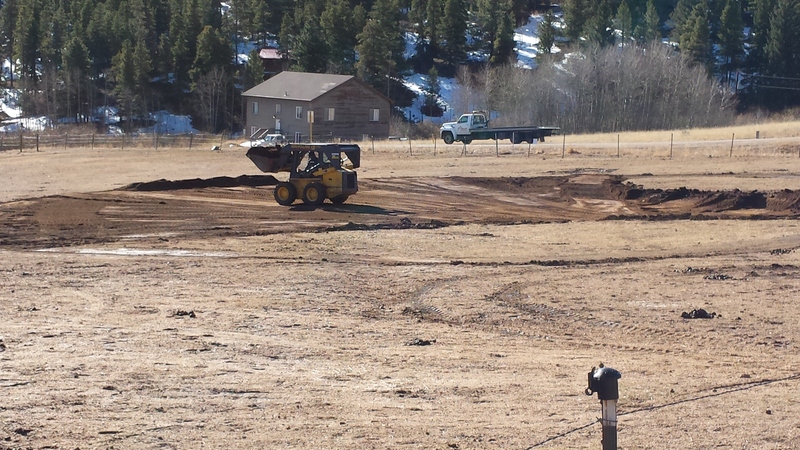 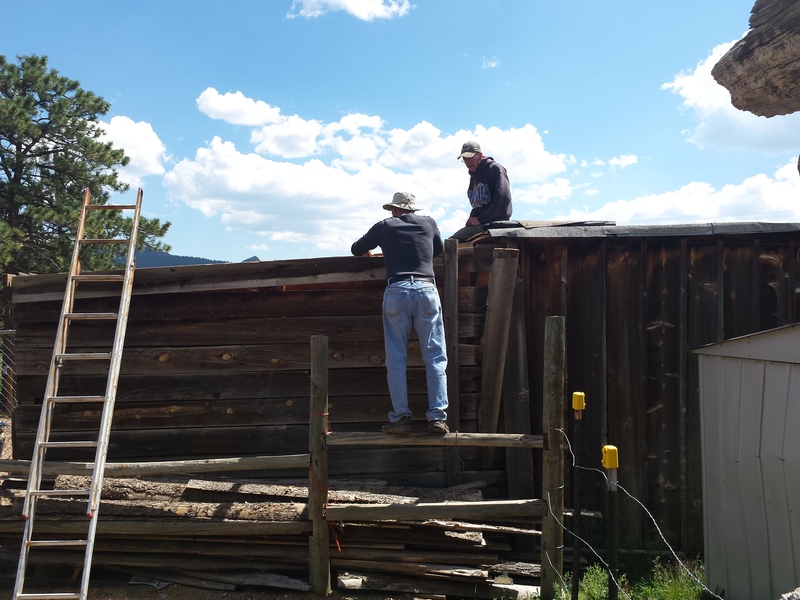 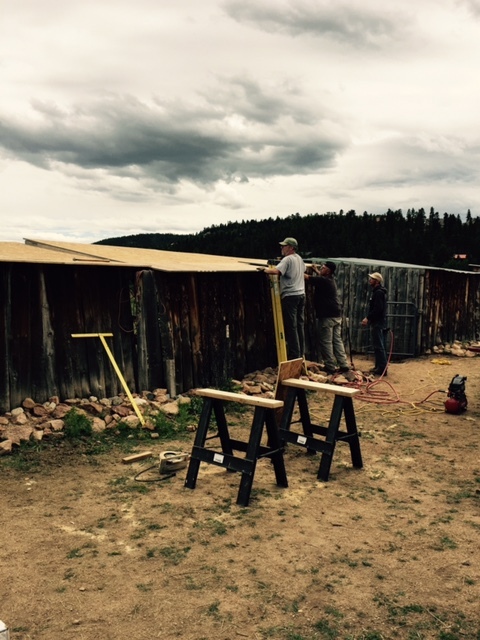 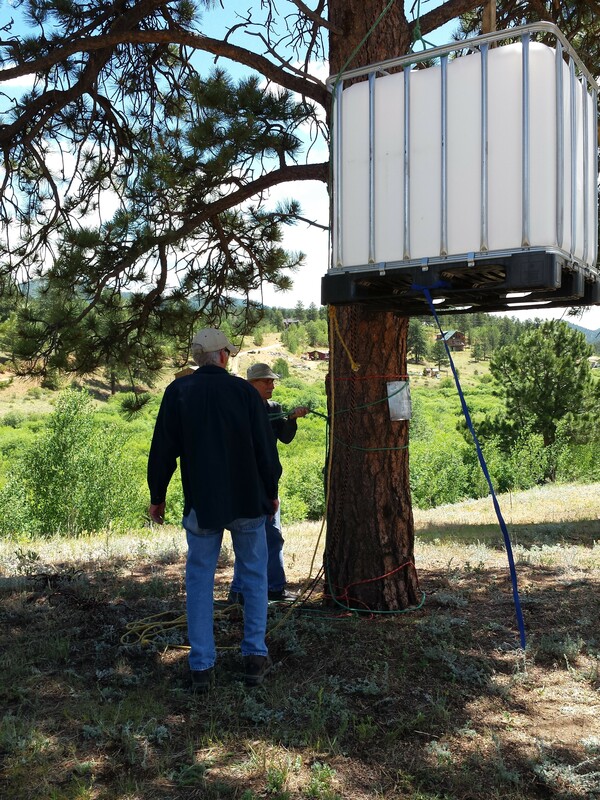 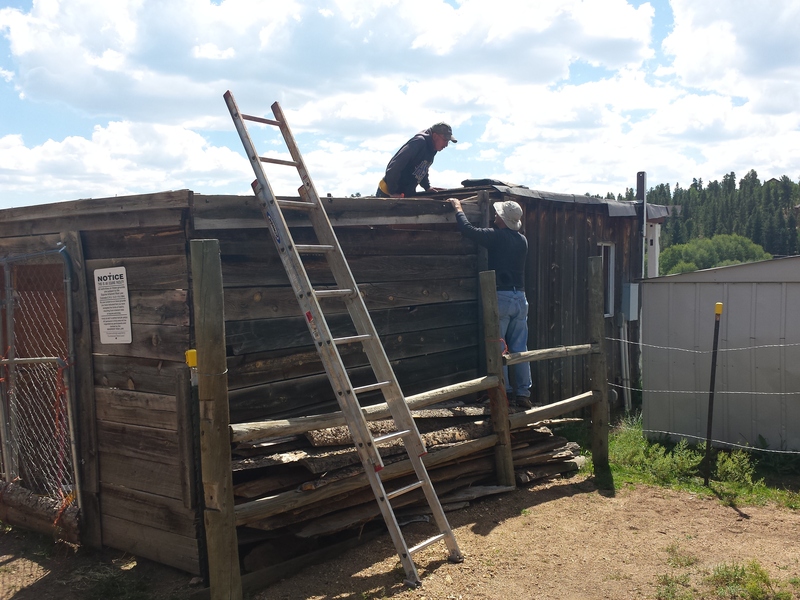 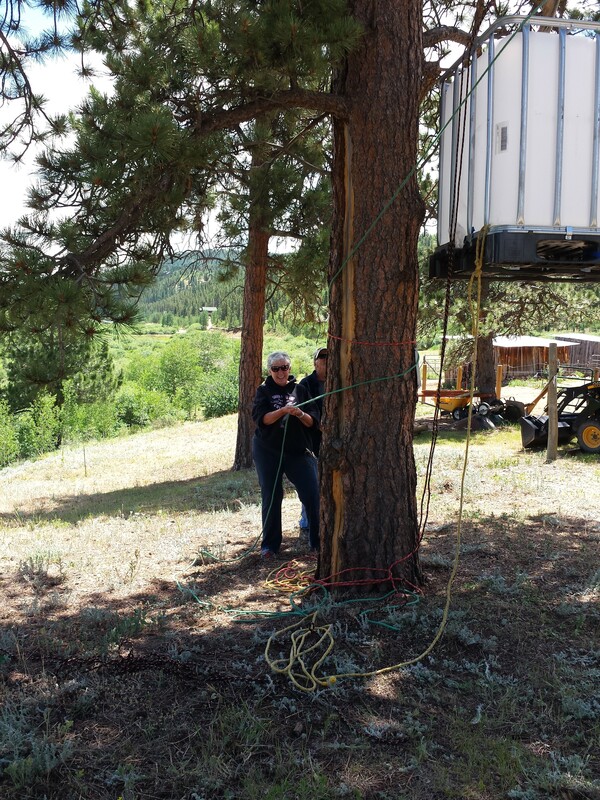 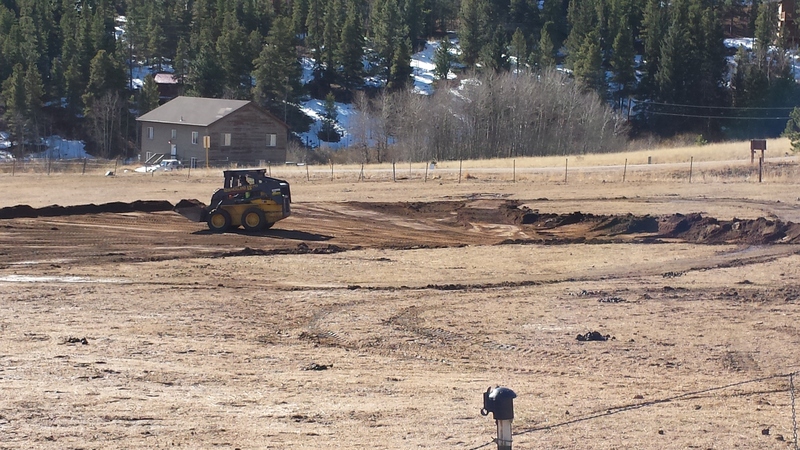 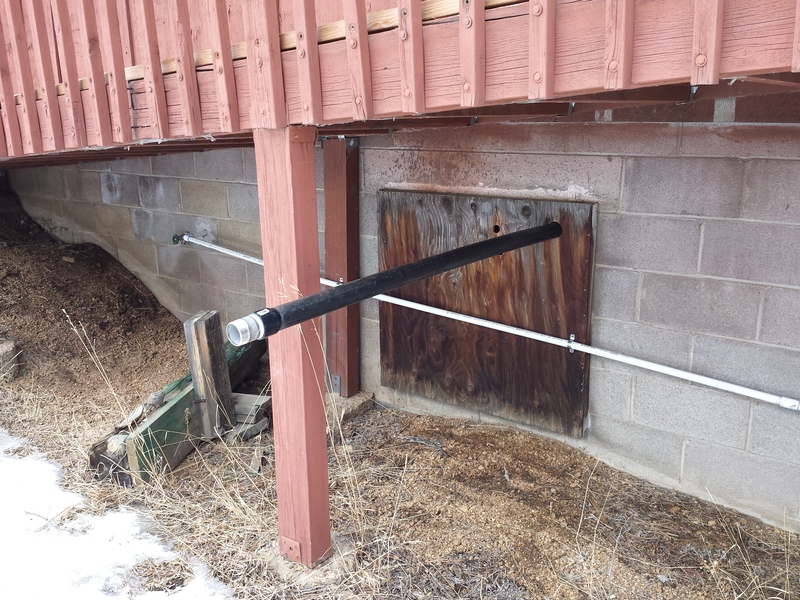 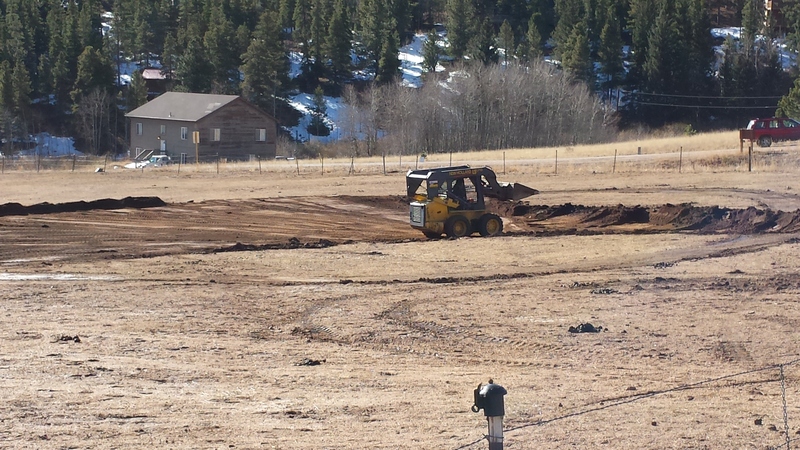 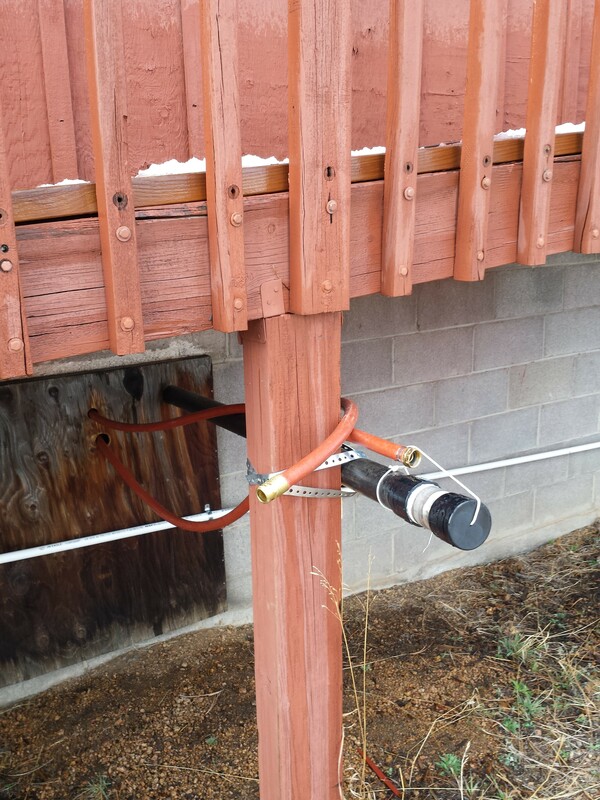 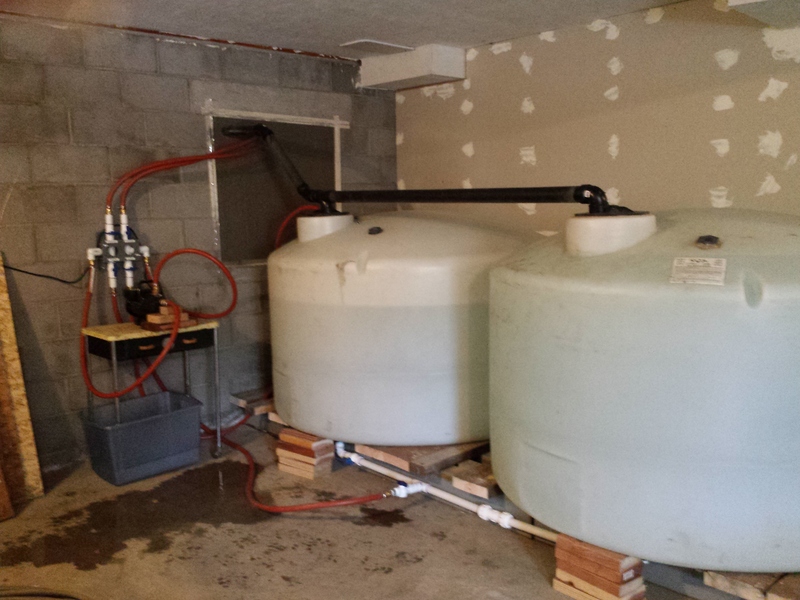 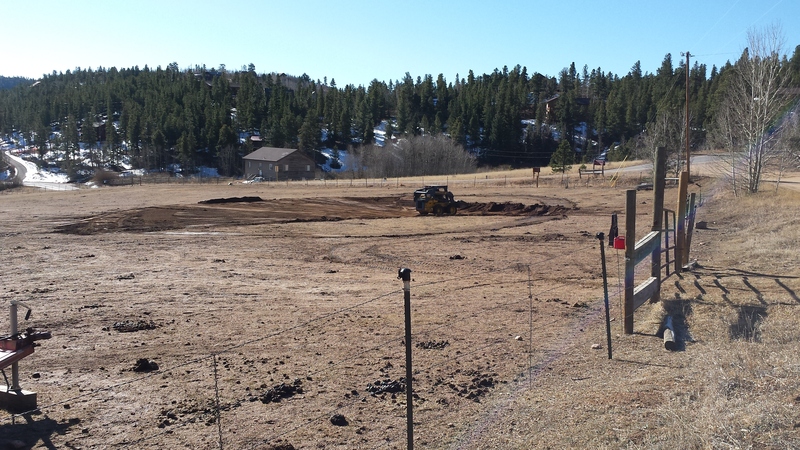 A new water storage project was designed and built by Paul Ellis, Jeff DeBerry, Walt Wark, and Mike Felix. 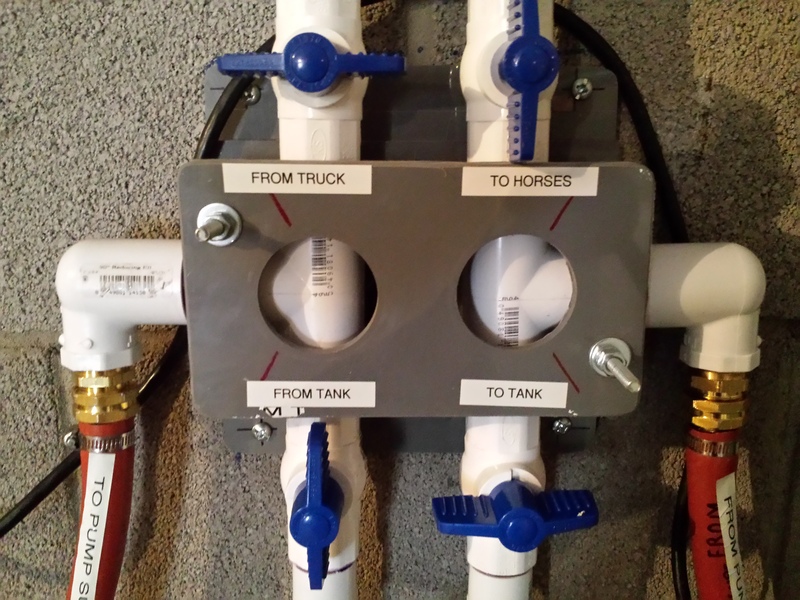 Water can now be pumped into large storage tanks from a delivery truck and later pumped back out through garden hoses and into the horse corral troughs as needed. 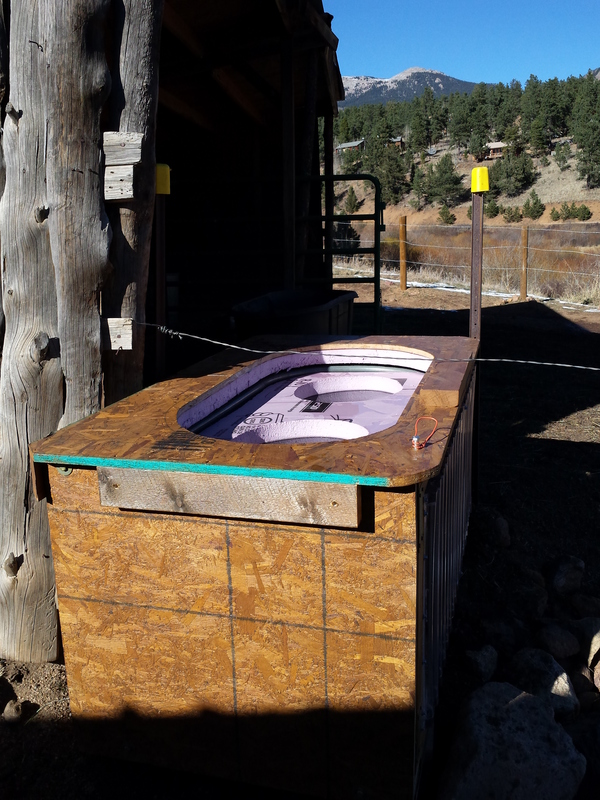 Submitted by Karen Ellis, January 21, 2017. 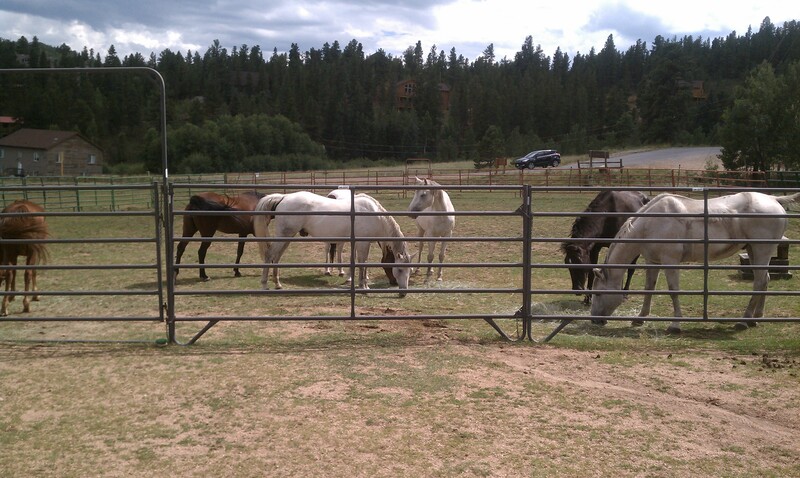 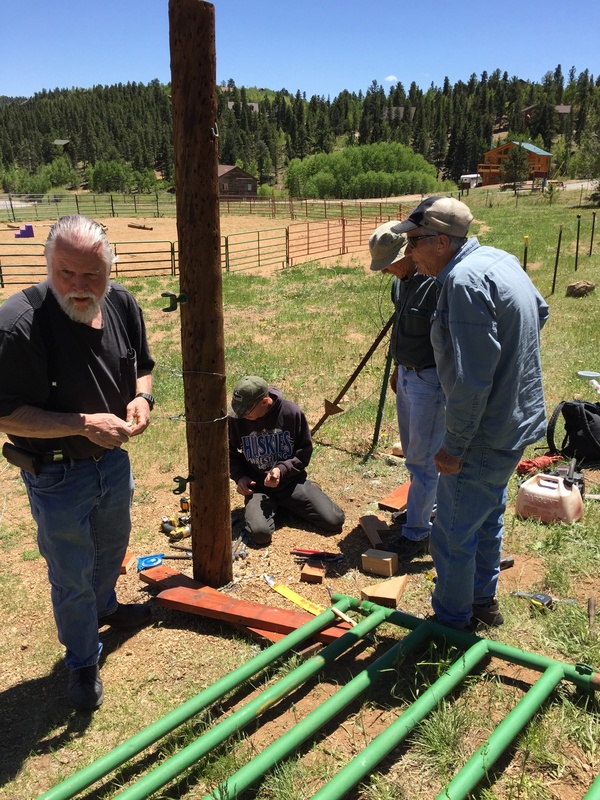 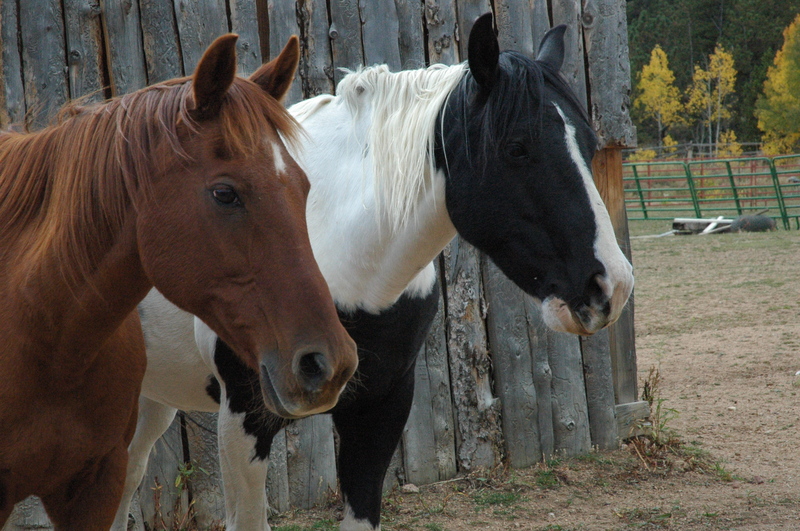 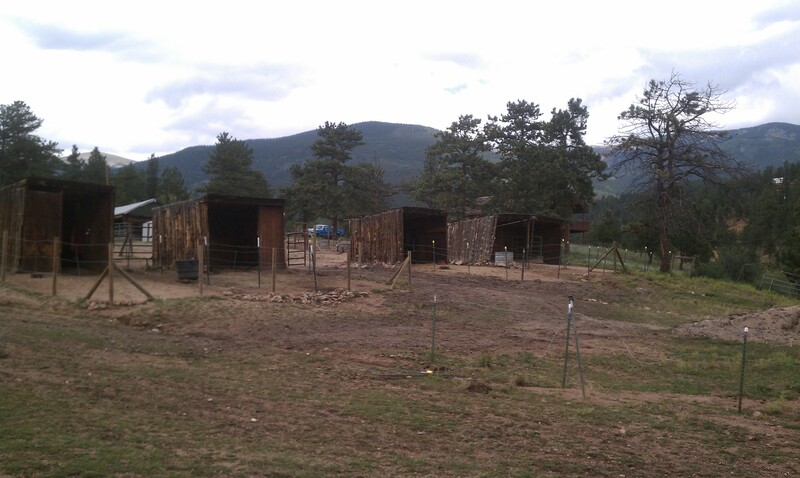 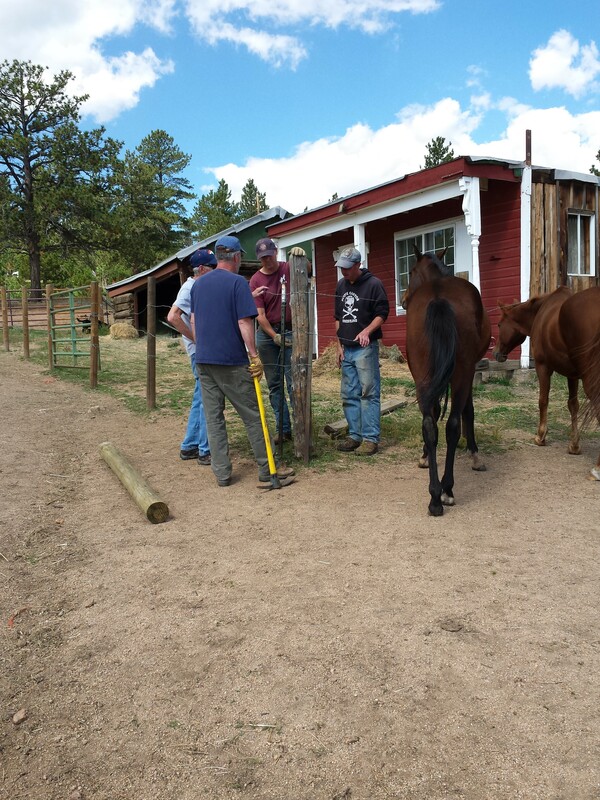 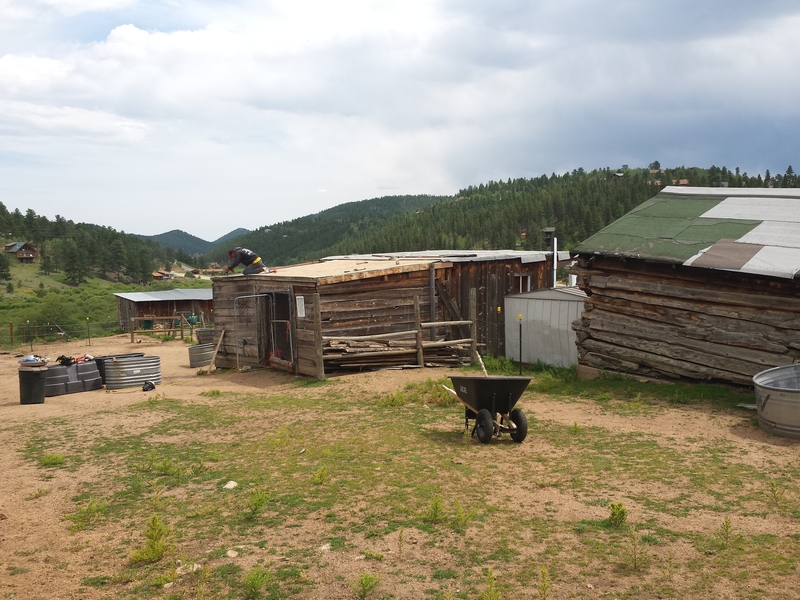 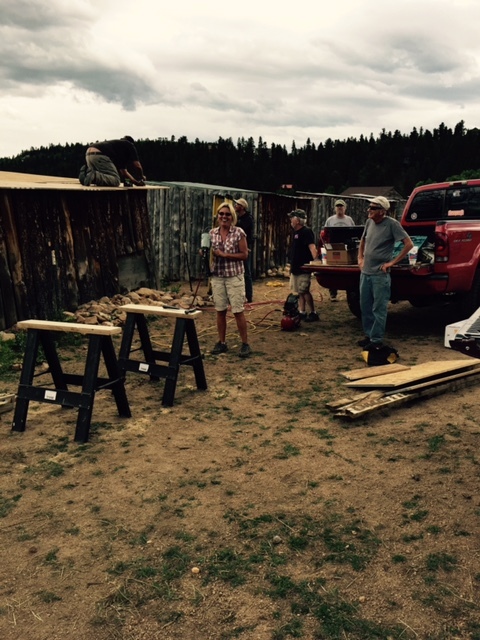 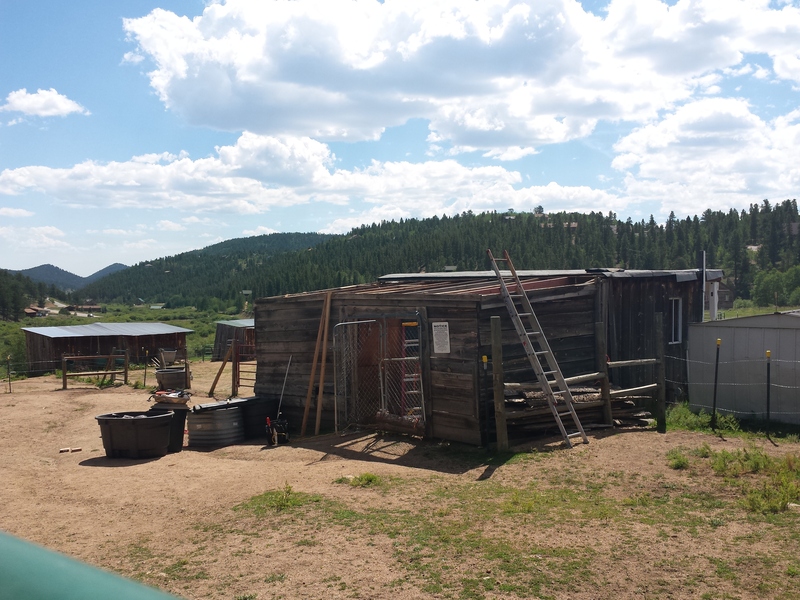 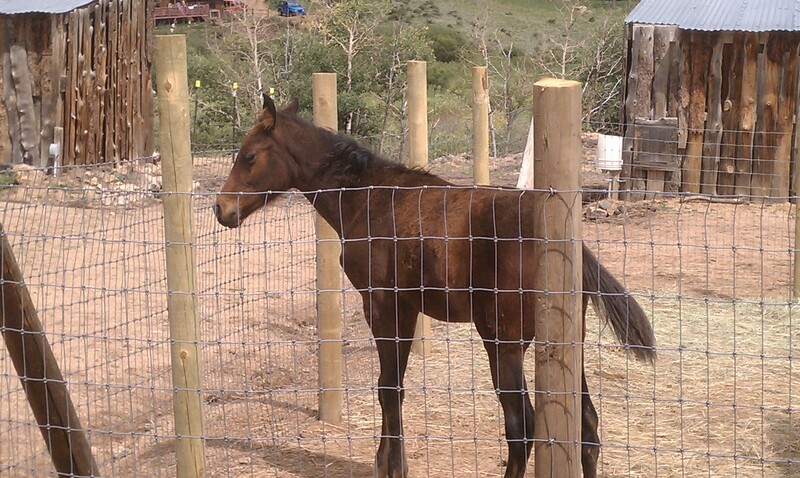 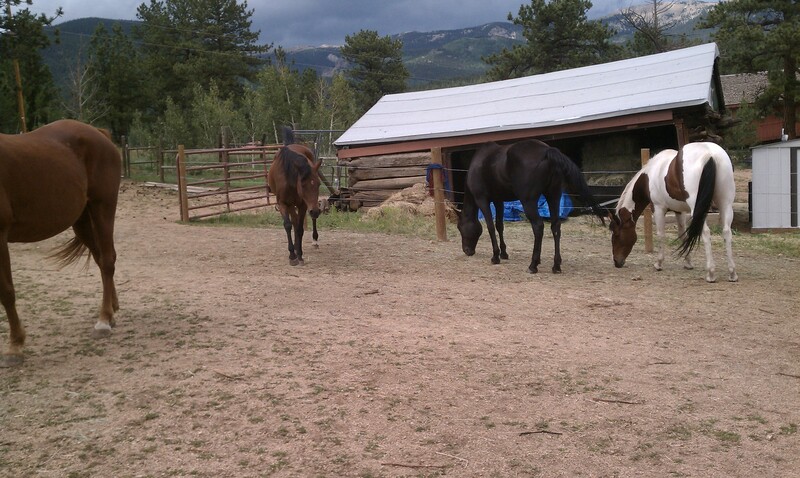 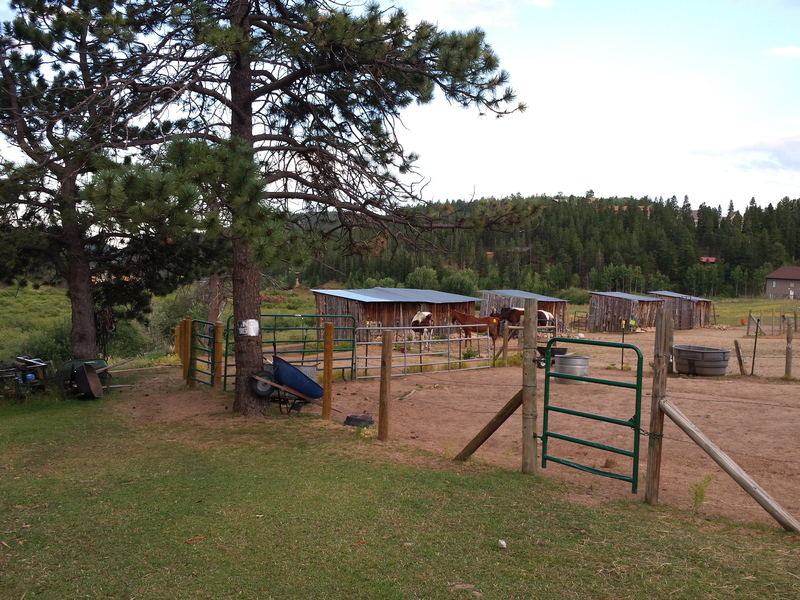 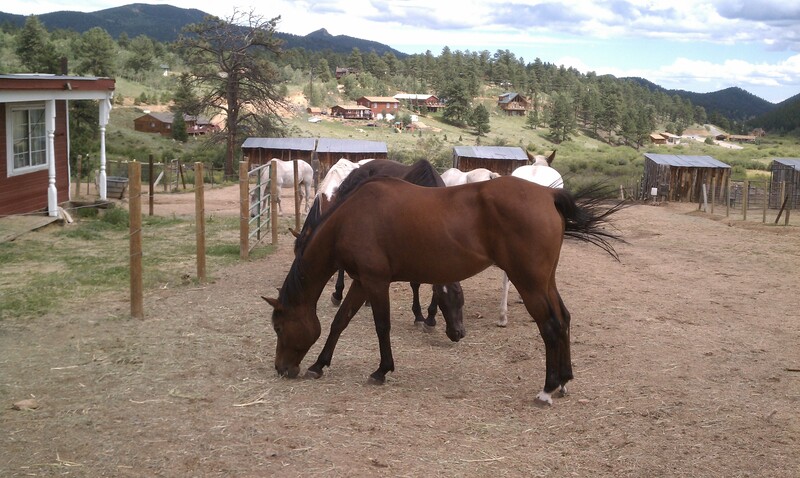 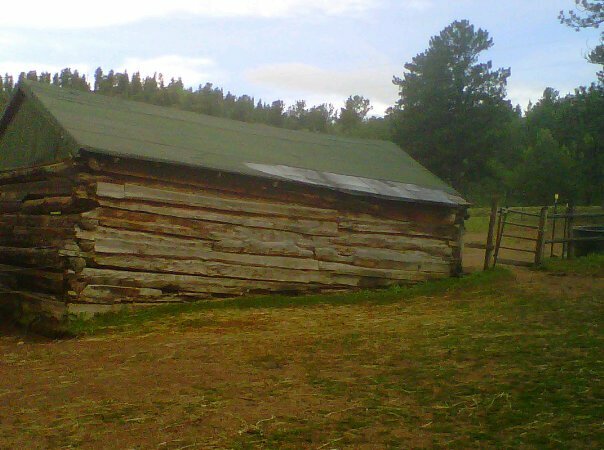 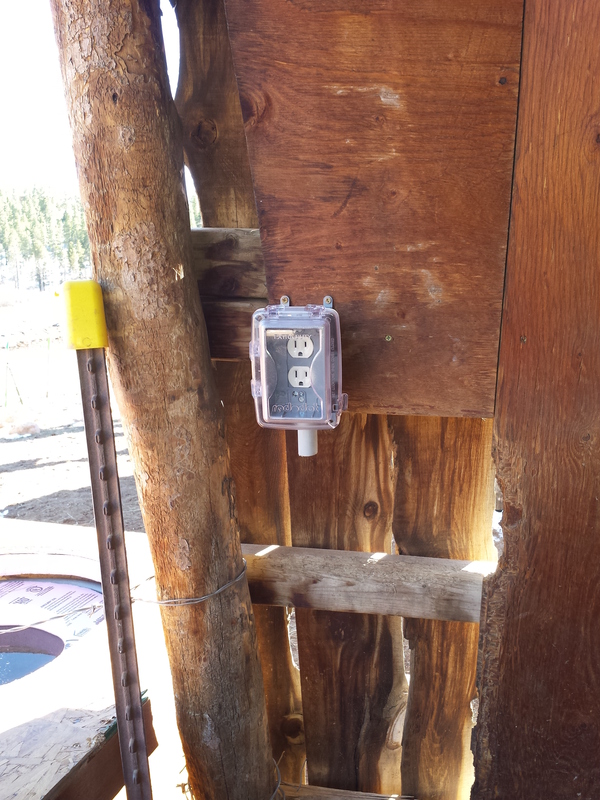 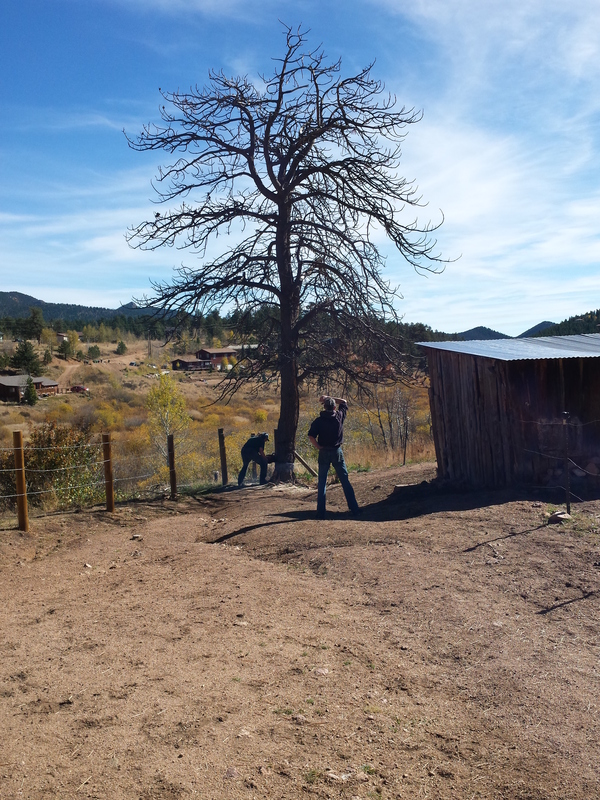 All electric outlets in the horse corral were brought up to code. 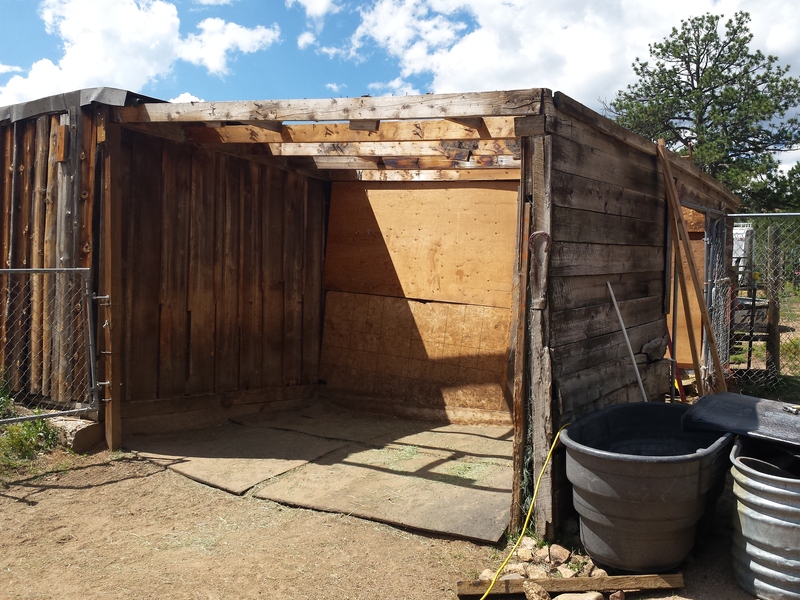 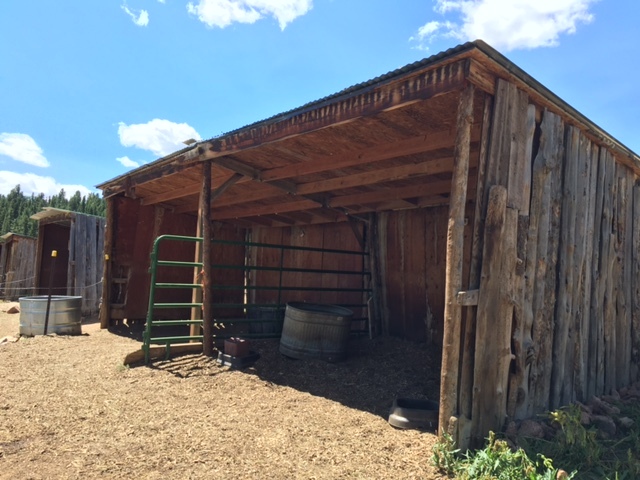 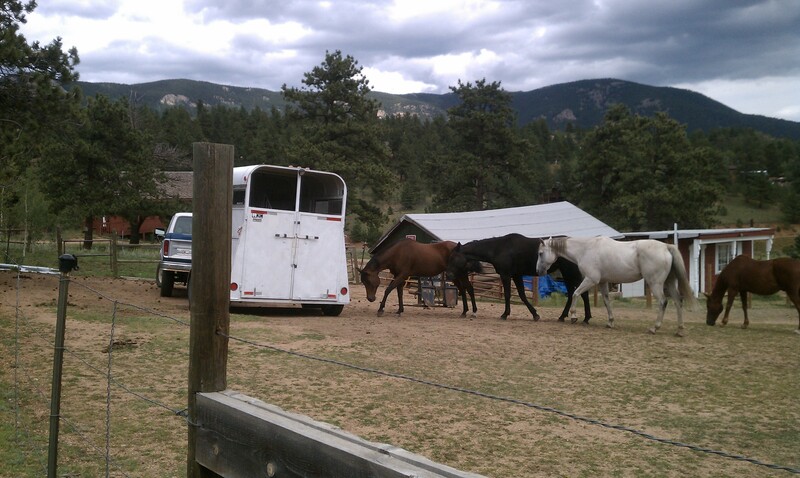 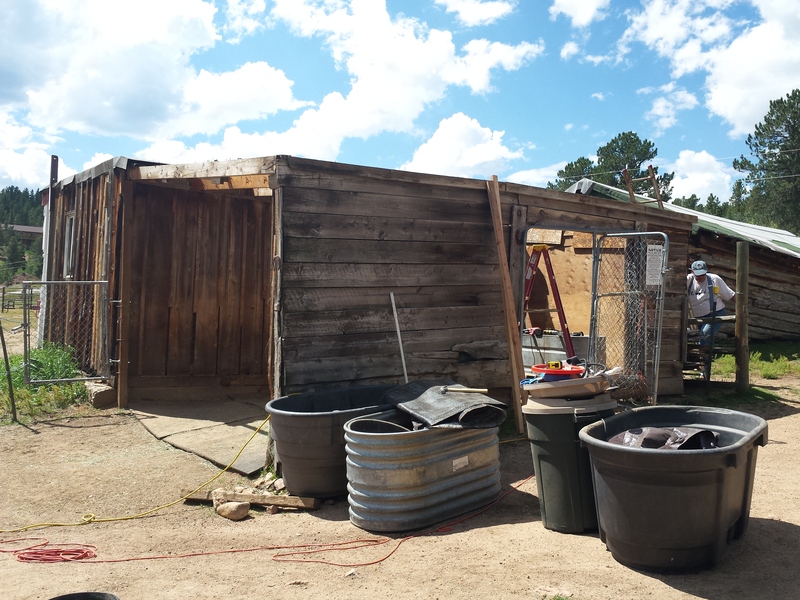 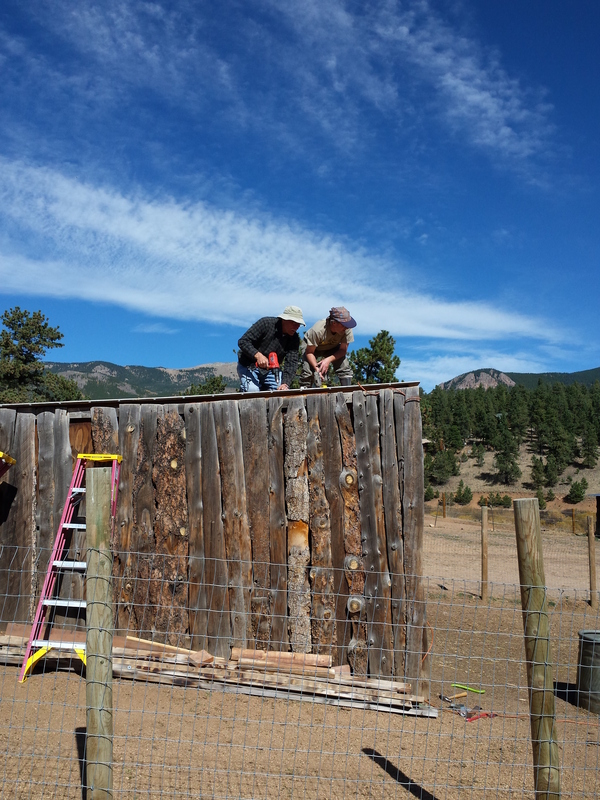 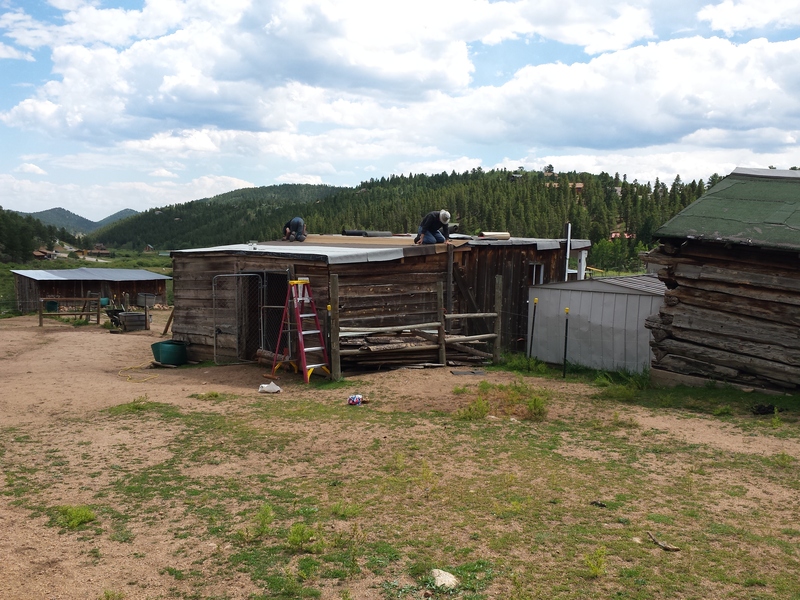 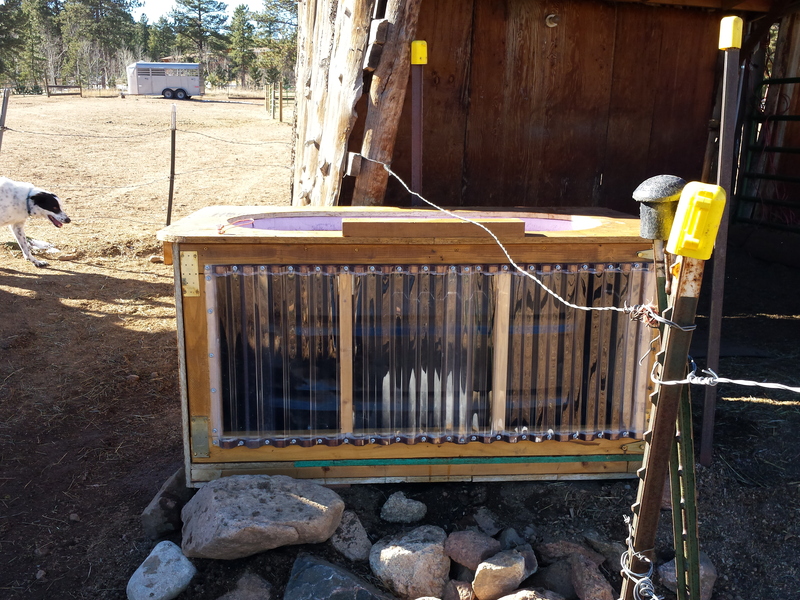 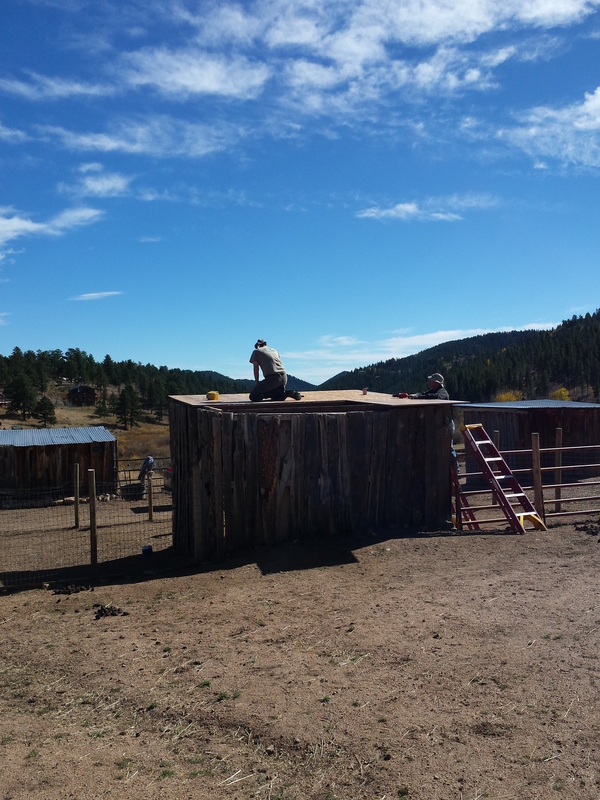 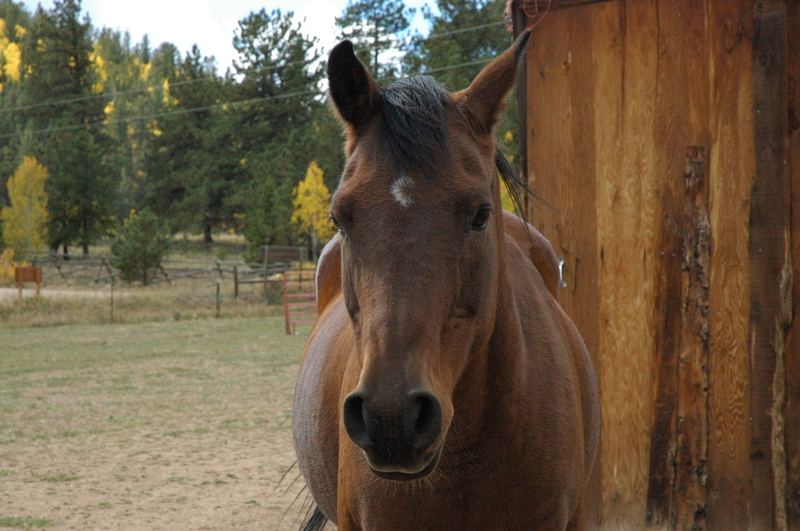 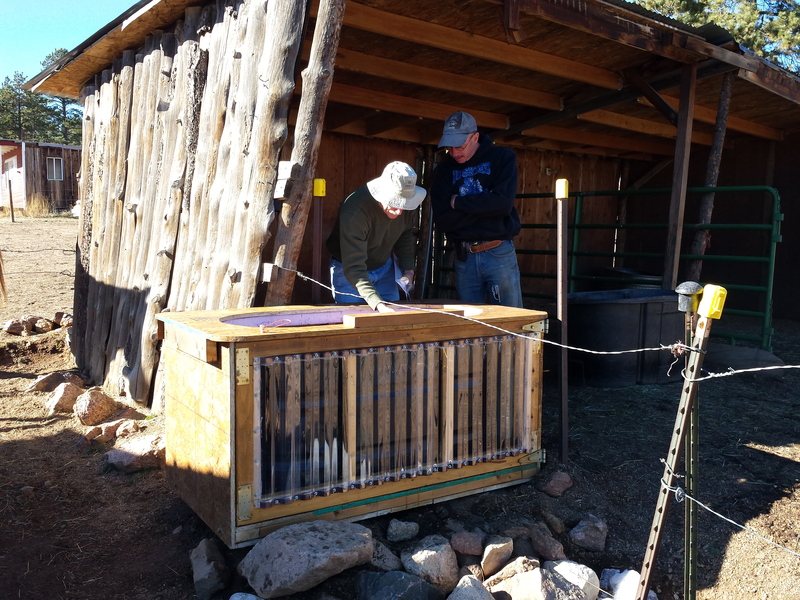 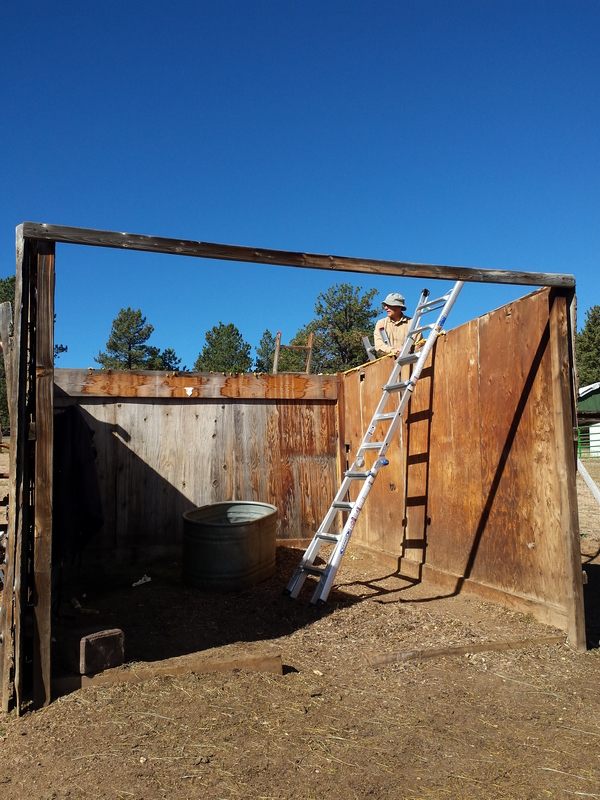 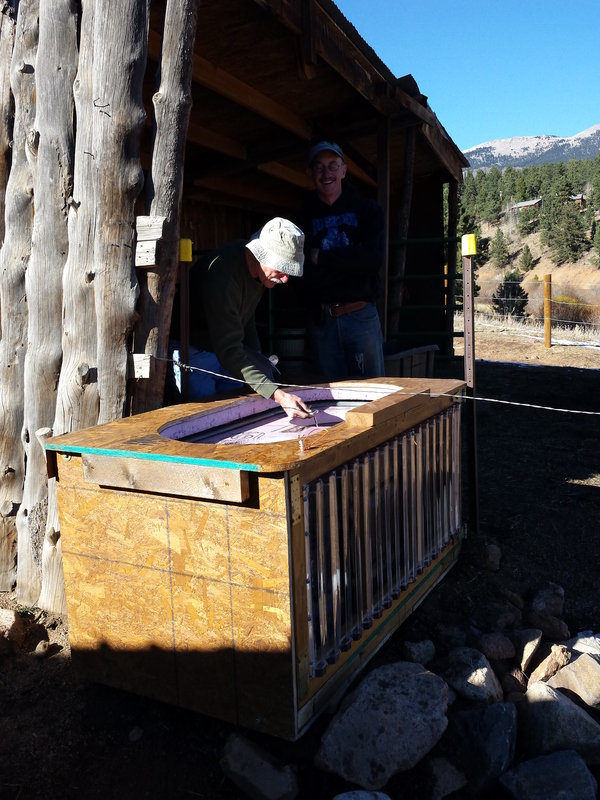 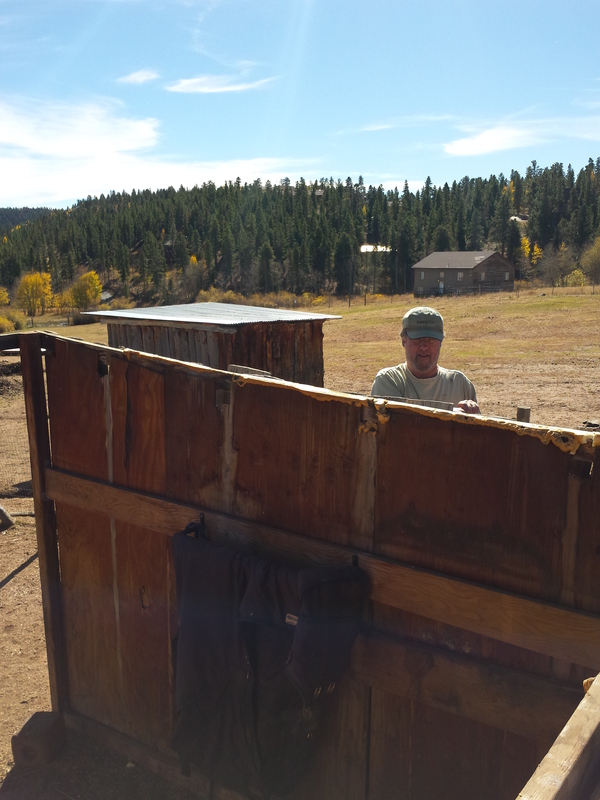 One water tank insulated box was built and set up in the horse corral. 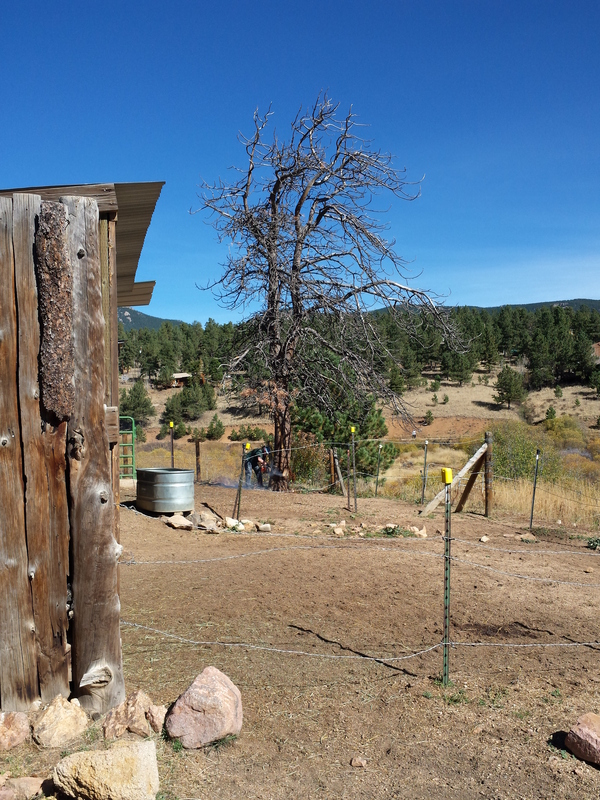 Submitted by Karen Ellis, November 14, 2015.